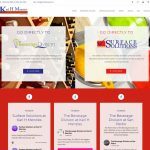 Here is listing of some of the websites we have developed. 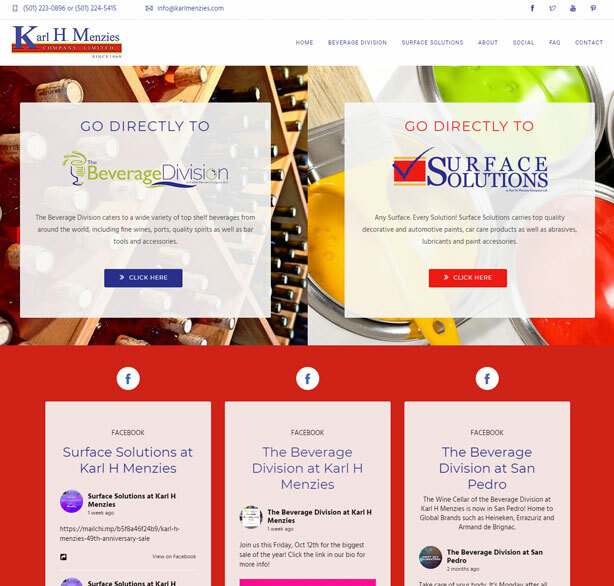 To find out how we can help your business with a custom solution, contact us today. 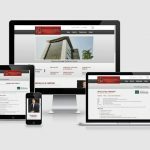 The website we built for Karl H Menzies over 8 years ago needed an upgrade. 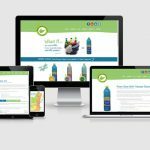 As they prepare to move towards a full ecommerce solution, we created a mobile-friendly fresh new site driven by their social media content. 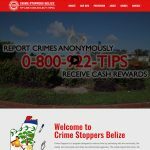 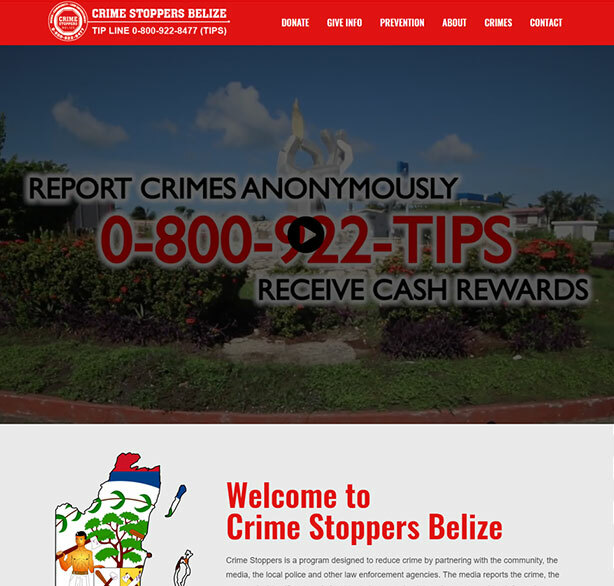 Crimes Stoppers is a project of the Belize Rotary Club, it is an important resource to make our community safer though anonymous reporting to police. 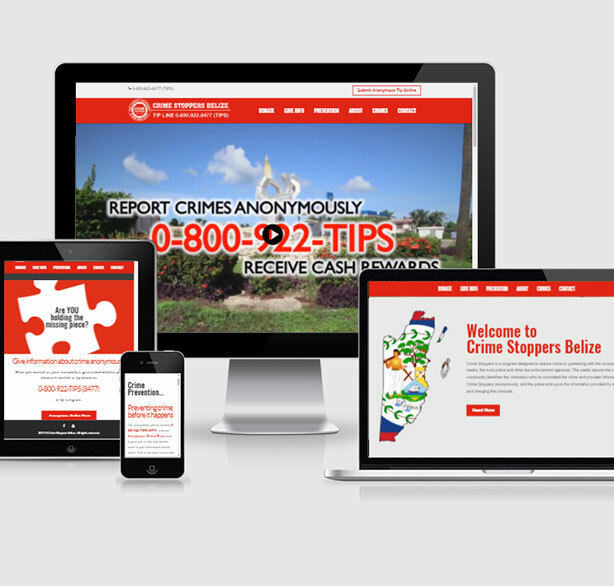 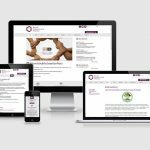 As technology developed, this site needed to be upgraded as well – we were proud to recently launch the 3rd version of the Crime Stoppers site. 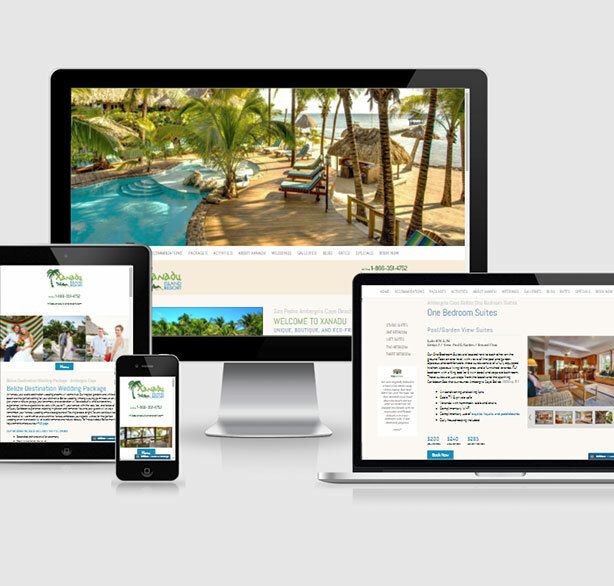 This version is mobile responsive and will adapt to any mobile device for easy browsing. 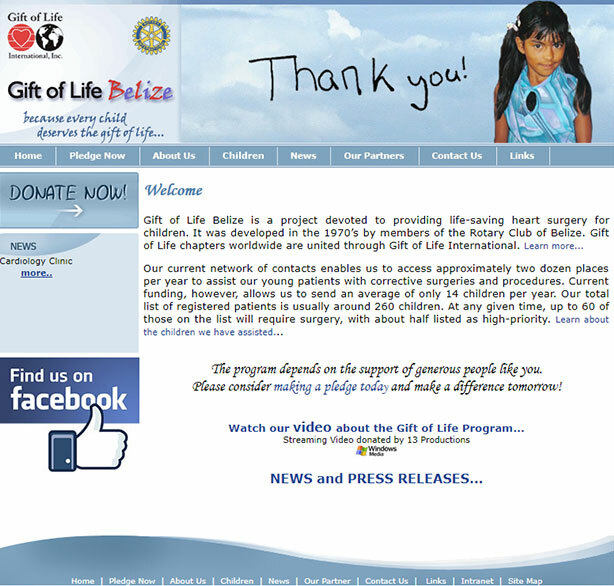 The website was offered at a low cost as a donation to the great work done by the organization. 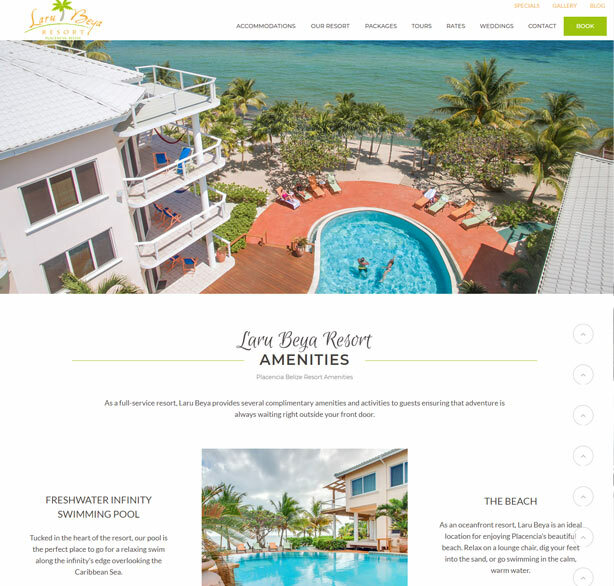 The beautiful Laru Beya Resort is located right on the beach in Maya Beach just a few miles from Placencia Village. 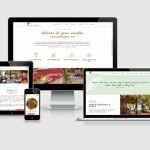 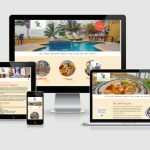 Their existing website was not adequately showcasing the features of the resort and we were happy to work with them to create a new bright, modern, easy to navigate, website that immerses future guests in the experience of staying at Laru Beya. 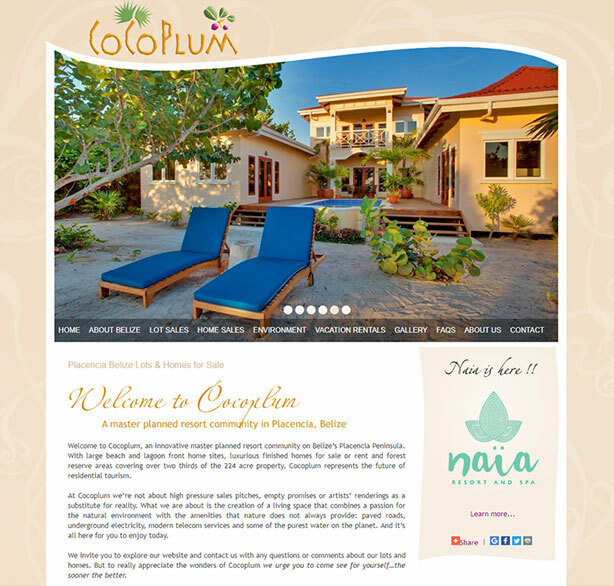 Coco Plum Island Resort is a beautiful private island resort for couples. 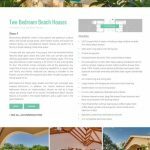 This site features large scrolling banners so that guests can really appreciate the breath-taking views. 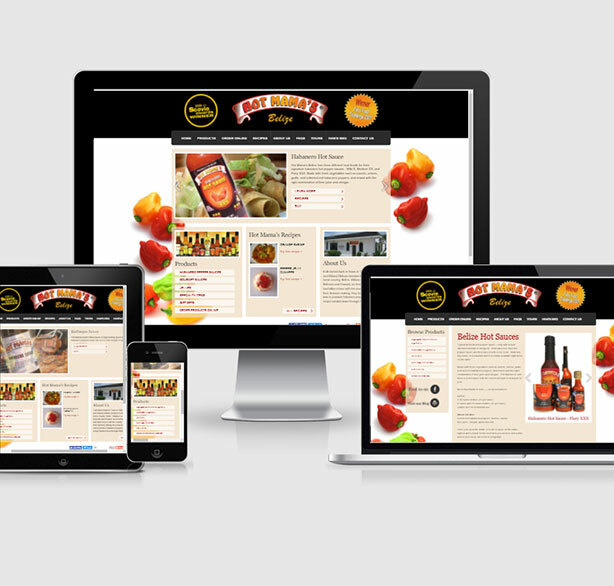 This site is also mobile responsive and will adapt to any hand-held device for easy browsing. 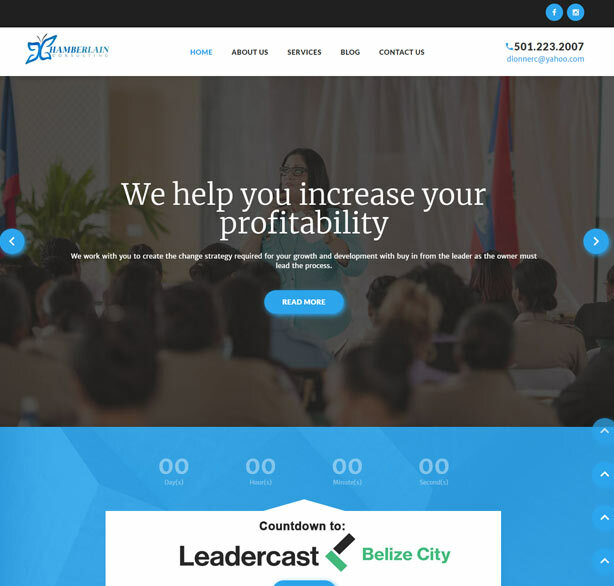 This website was upgraded in 2018. 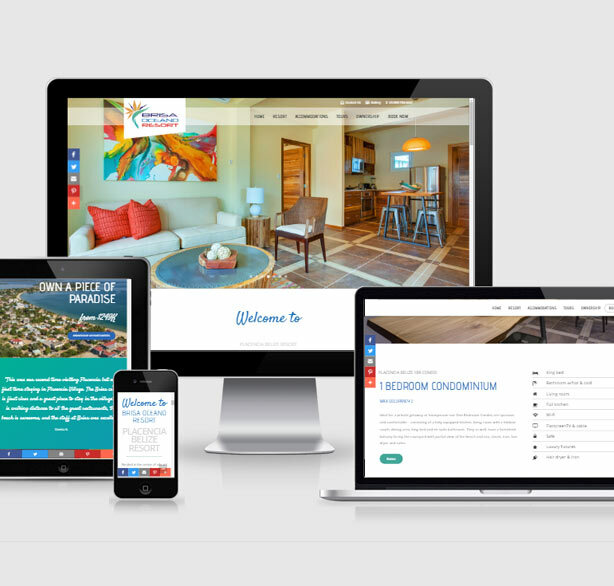 The design was created by another designer and we coded and built the site to bring the new design to life. Brisa Oceano is a newly constructed condominium style Placencia Belize resort designed to meet the highest standards in luxury and comfort. 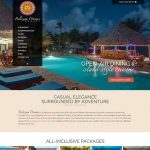 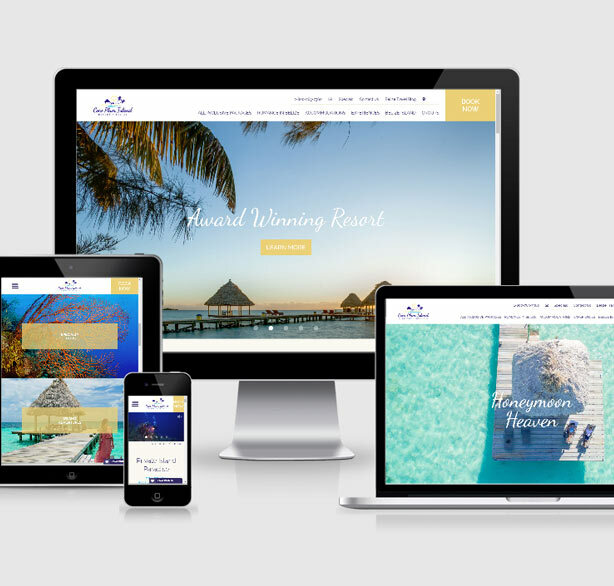 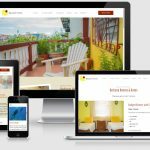 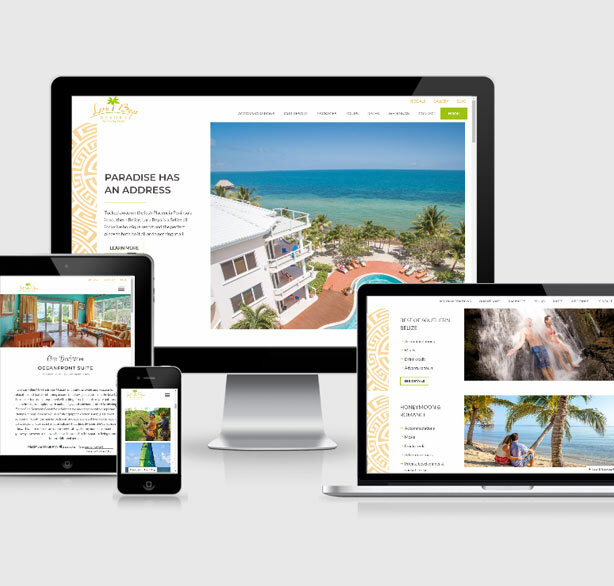 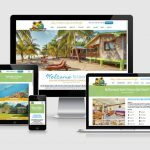 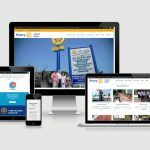 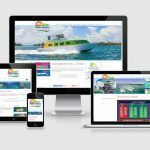 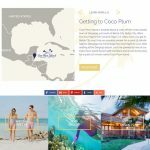 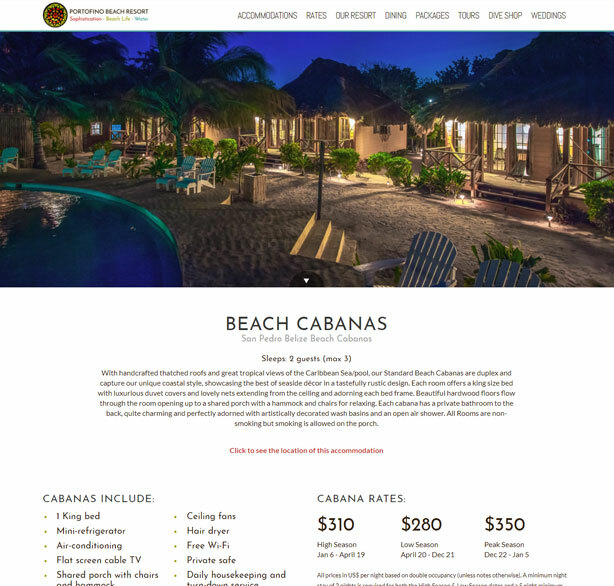 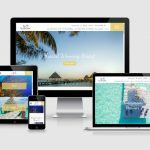 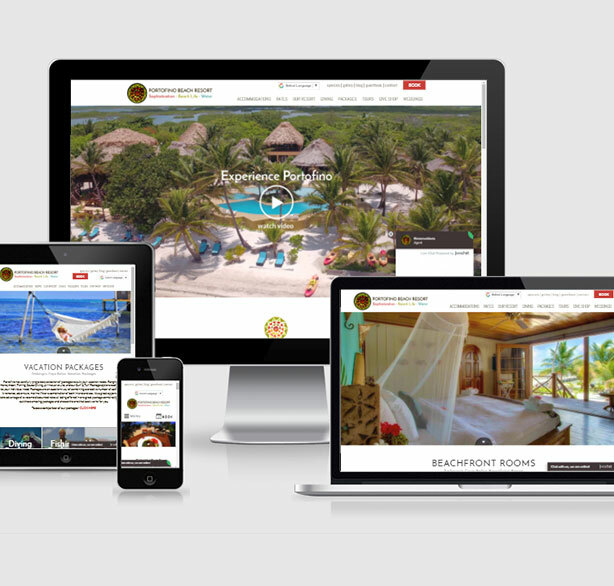 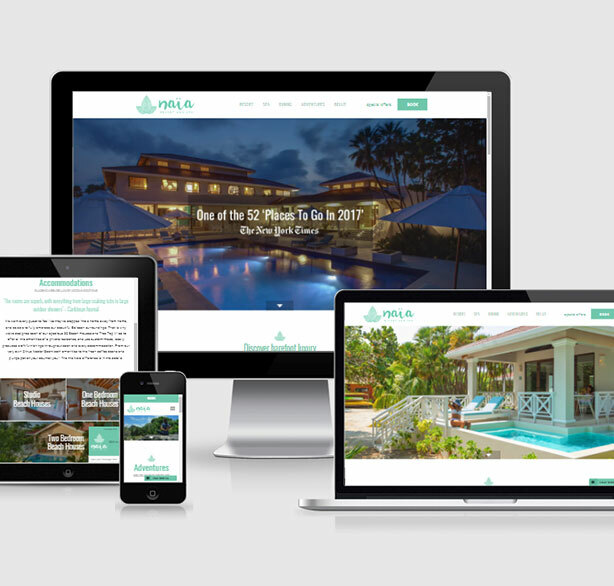 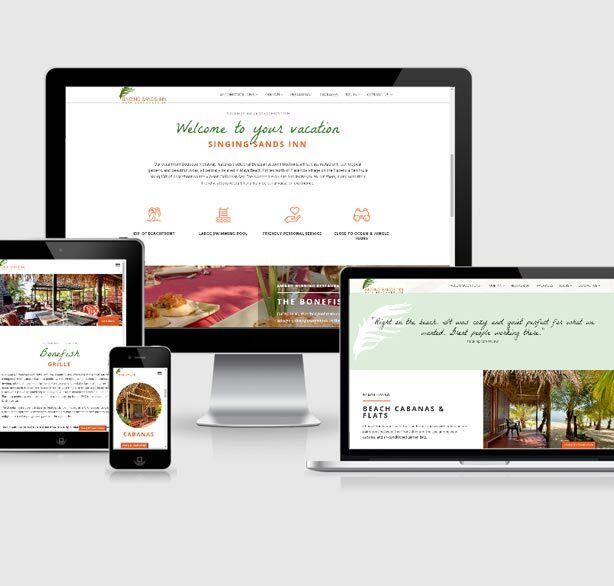 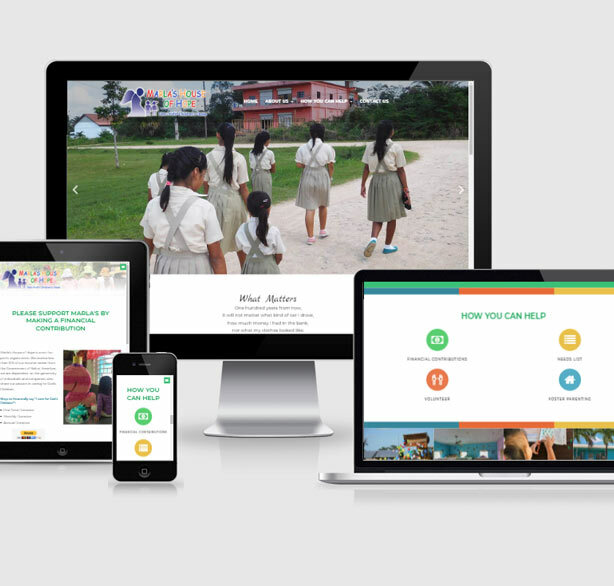 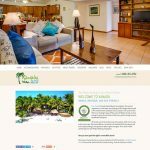 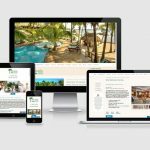 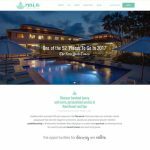 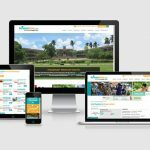 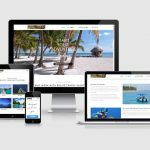 We worked with them to create a responsive, optimized website that showcases the village of Placencia and the amenities they offer. 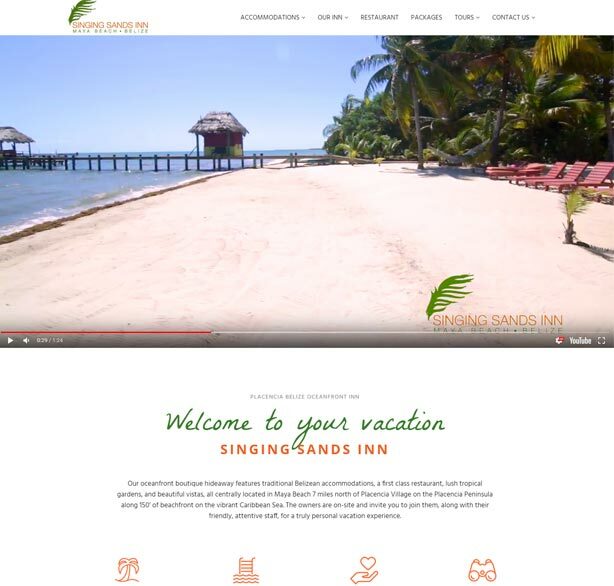 Singing Sands is located in beautiful Maya Beach just 7 miles from Placencia. 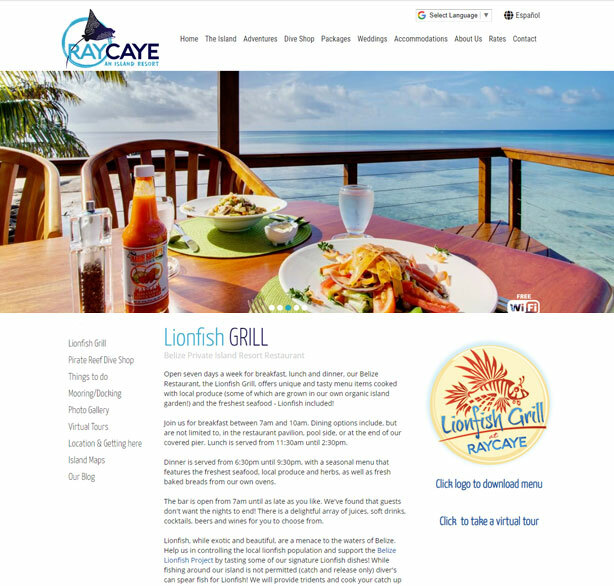 They are a unique, family-owned inn with fantastic food. 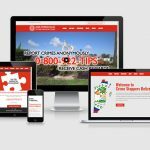 Their old website was dated and not up to current web standards. 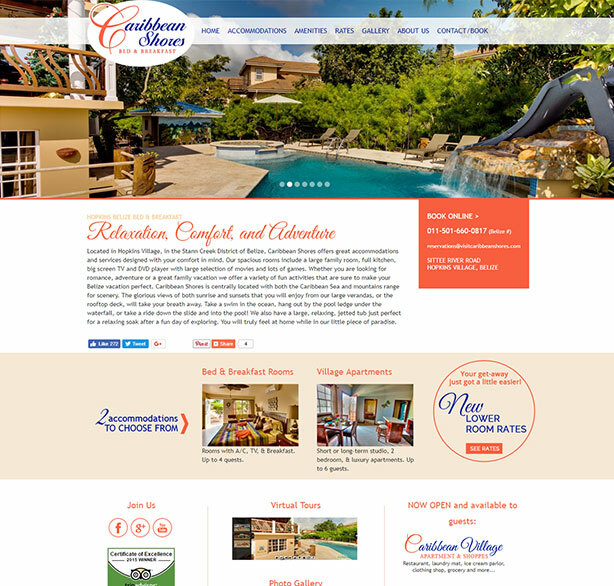 We were excited to create a new fresh look to showcase pictures of their boutique hideaway. 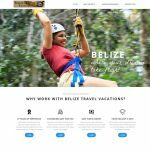 Belize Travel Vacations is a full service travel agency offering customized and affordable all-inclusive vacation packages to Belize, Honduras, Guatemala, and Mexico. 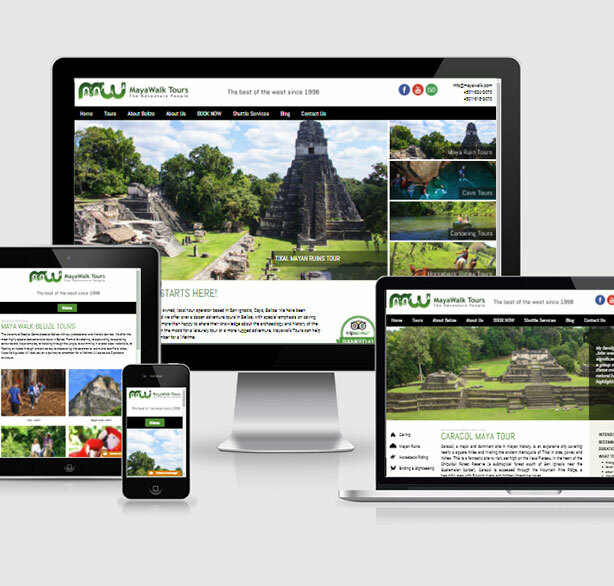 They needed a website built quickly to be ready for the travel shows they were visiting. 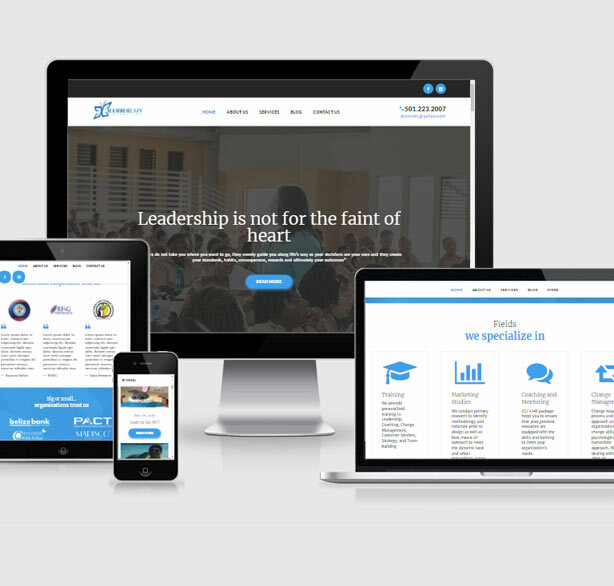 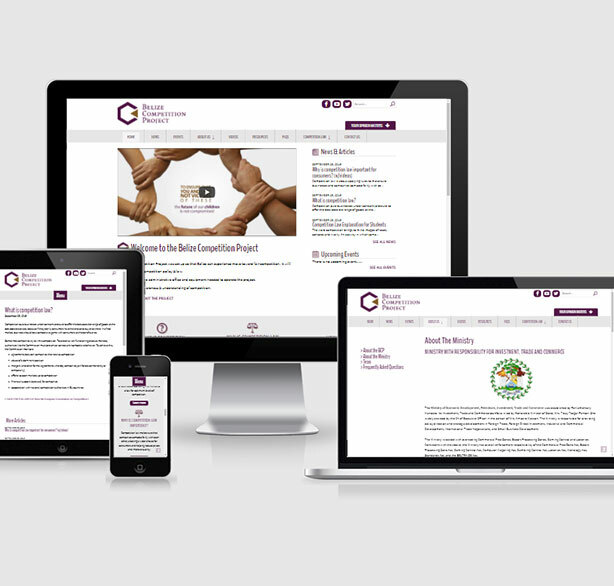 We were happy to help out with a clean, attractive and mobile-responsive website. 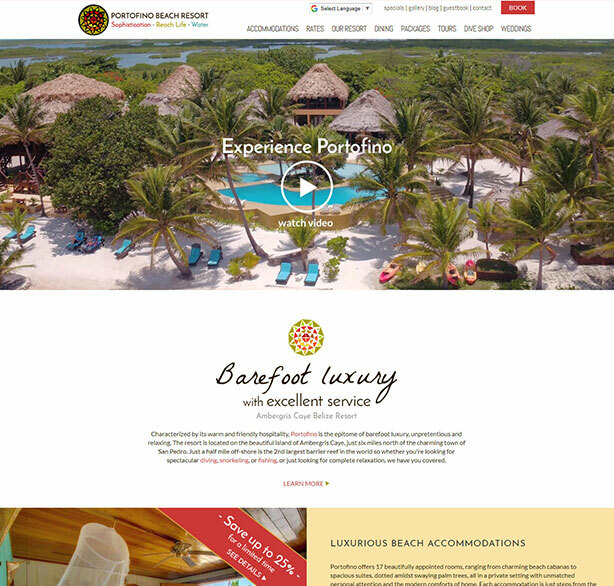 Portofino is known for barefoot luxury, friendly service, and great food. 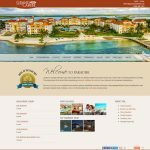 The website was designed to be warm and inviting with large images to immerse people in the relaxing atmosphere of Portofino. 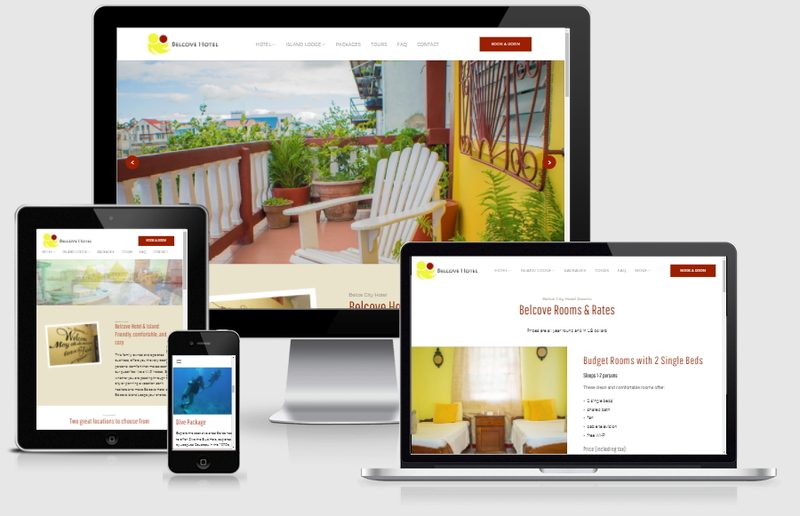 This site is also mobile responsive and will adapt to any mobile device for easy browsing. 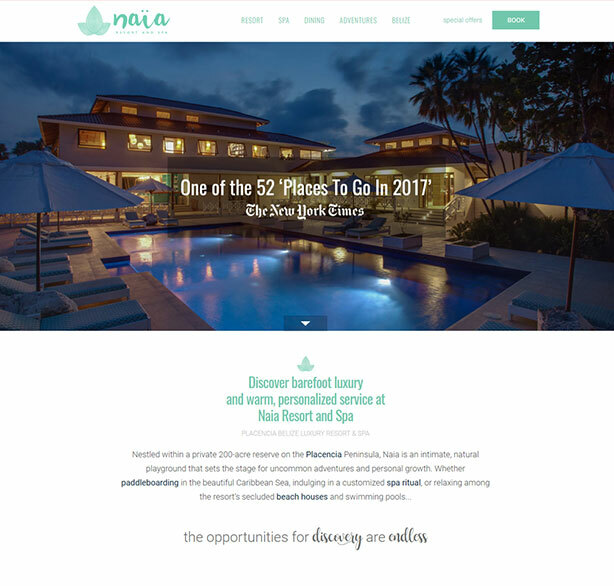 One of Placencia's newest resorts, Naïa Resort & Spa, has created a luxury haven for relaxation and unforgettable vacations. 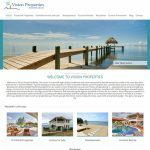 The vision of the website was clean, image focused, and welcoming. 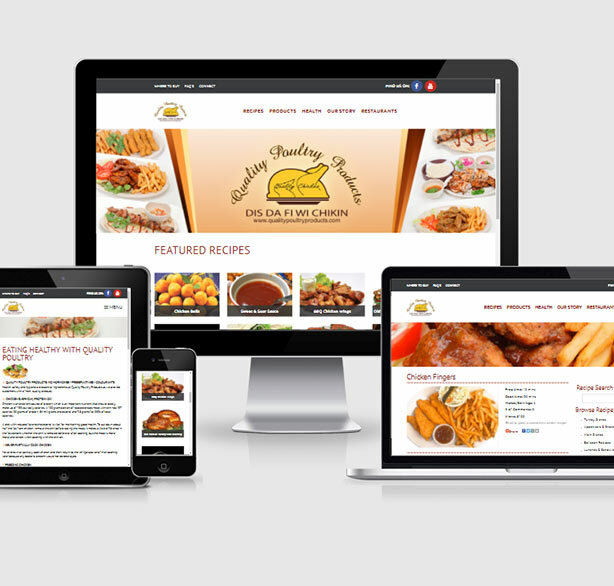 This site is also mobile responsive and will adapt to any mobile device for easy browsing. 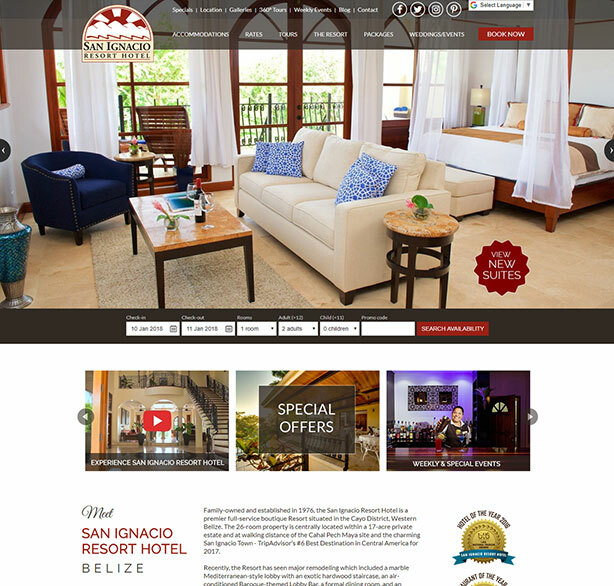 San Ignacio Resort Hotel is one of the top hotels in Belize that offers luxury accommodations and services located in a lush, tropical setting on a hillside uniquely named "the only jungle in town". 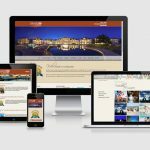 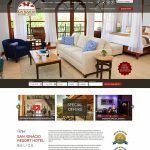 This new site is elegant and epitomizes luxury as it offers bright, big and beautiful pictures on all pages so guests can get a feel for what San Ignacio Resort Hotel has to offer. 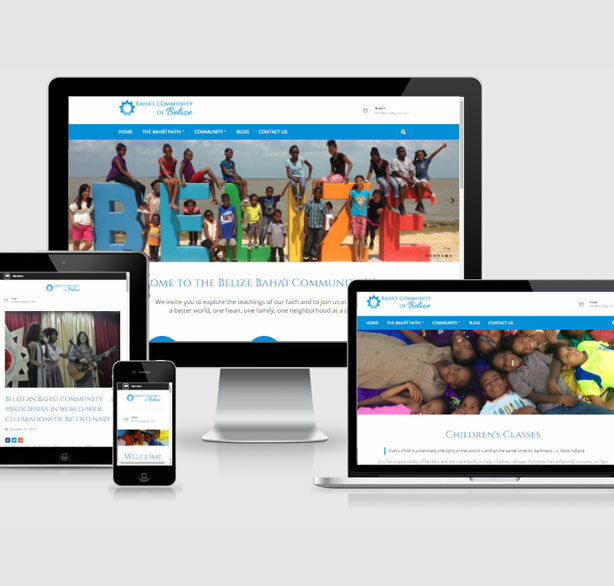 This site is also mobile responsive and will adapt to any mobile device for easy browsing. 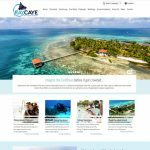 Belizean Dreams is one of the top dive resorts in Belize that offers luxury accommodations and services. 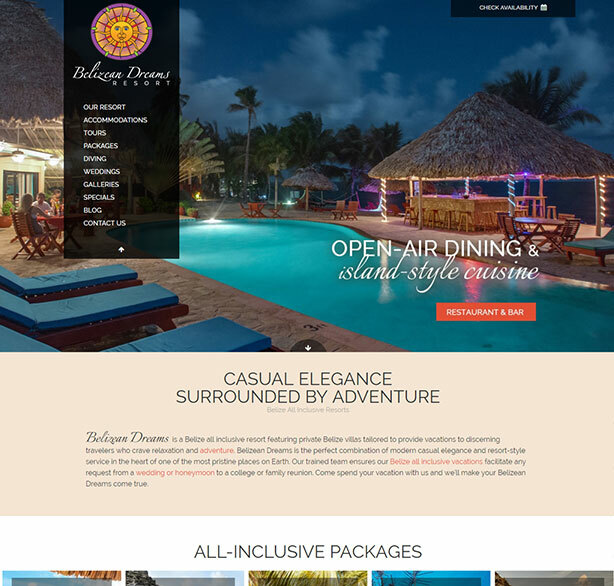 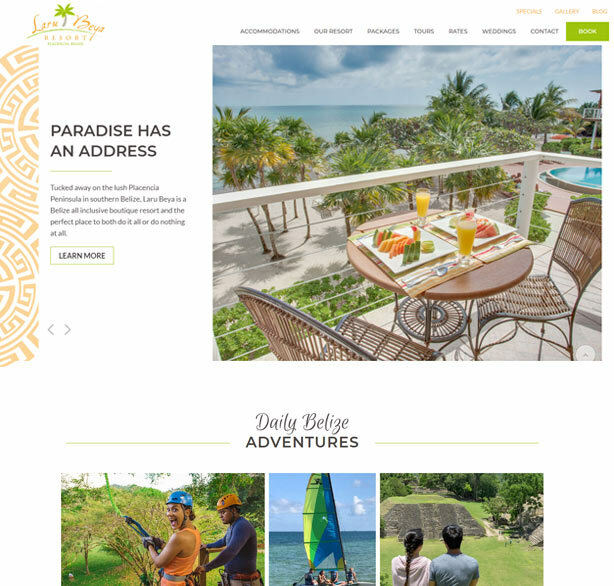 Located in the southern coastal village of Hopkins, this new site is elegant and epitomizes luxury as it offers bright, big and beautiful pictures on all pages so guests can get a feel for what Belizean dreams is all about. 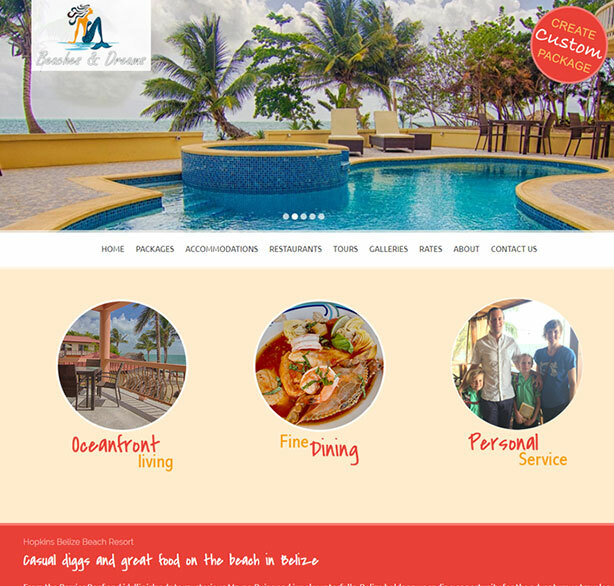 This site is also mobile responsive and will adapt to any mobile device for easy browsing. 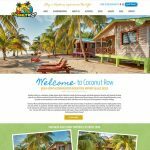 Coconut Row and Buttonwood Guest House are for travelers who want to enjoy an affordable beach vacation in high quality rooms, but who prefer an authentic, friendly village atmosphere rather than the seclusion of an isolated resort setting. 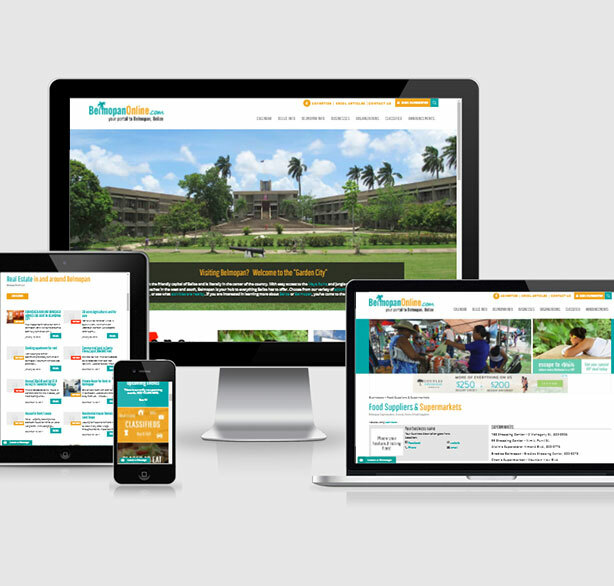 The website was designed to be colorful and friendly to reflect the culture and people of Hopkins Village. 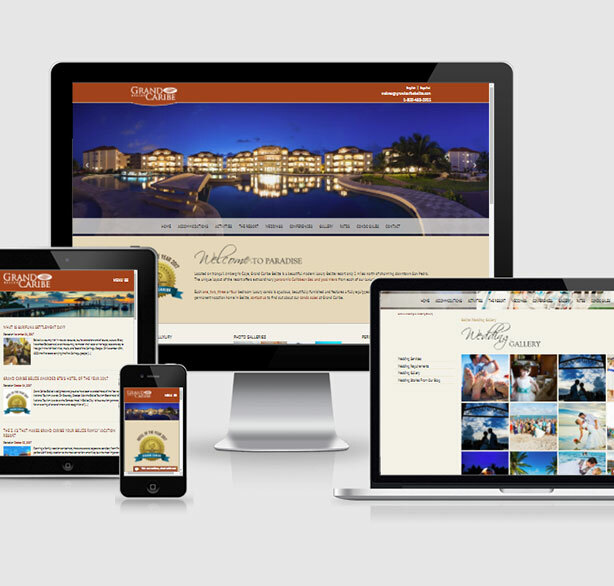 This site is also mobile responsive and will adapt to any mobile device for easy browsing. 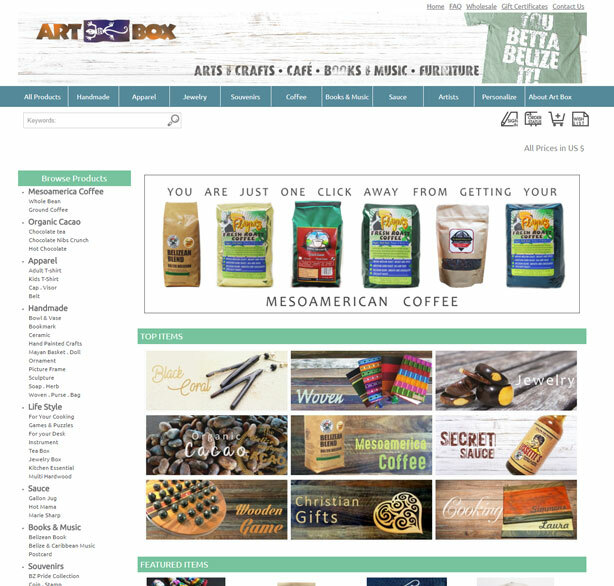 Art Box Belize offers local crafts, wood items, t-shirts, custom furniture, and lots more. 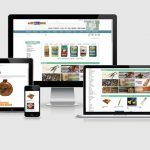 They needed an upgraded site with a catalog of their products that was searchable and had a full shopping cart feature. 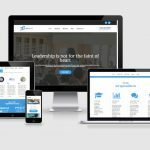 The 2017 upgrade included a cleaner look, larger picture, and mobile responsiveness. 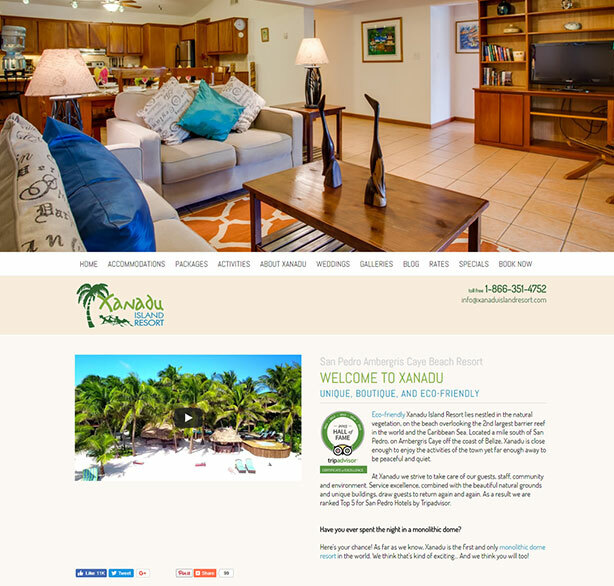 Xanadu Island Resort is Belize's top eco-resort in San Pedro, Ambergris Caye that blends luxury and nature perfectly. 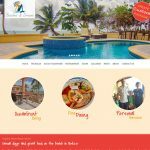 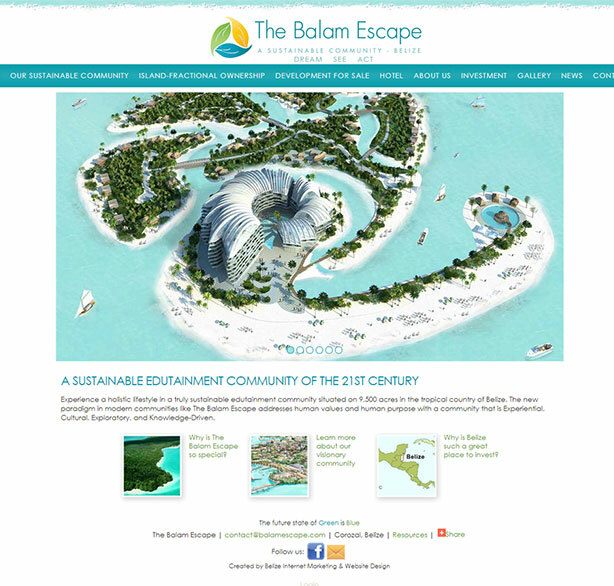 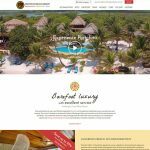 This site features big, beautiful banners on all pages, so guests can get feel for what the eco-resort is about. 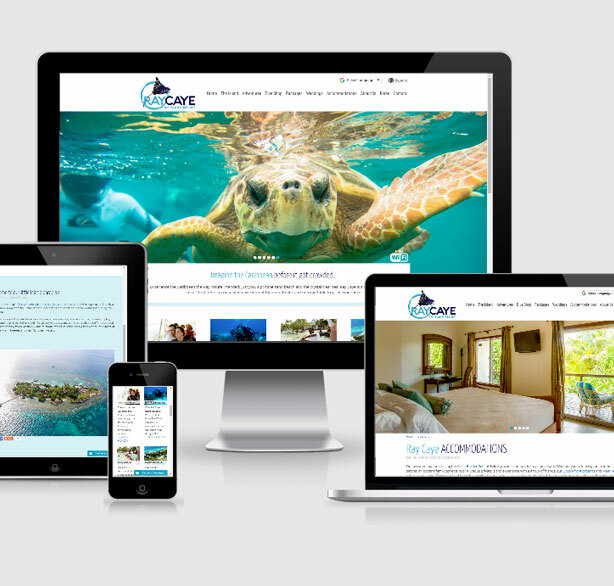 This site is mobile responsive and will adopt to any mobile device for easy browsing. 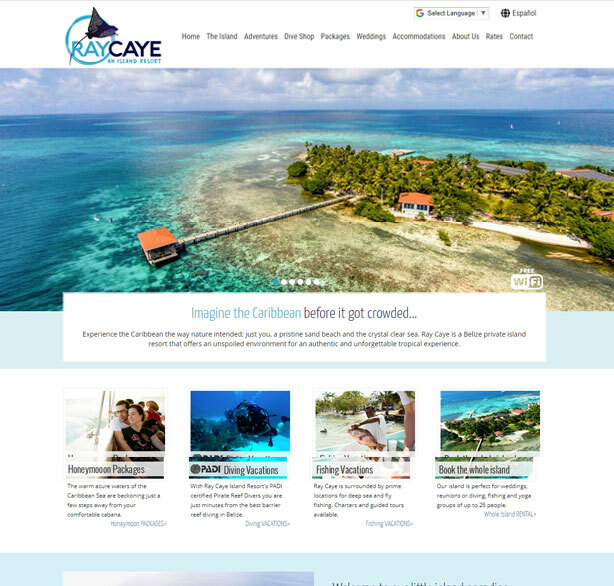 Ray Caye is a beautiful private island resort for families, friends or couples looking for a romantic getaway. The site features big, beautiful banners on all pages so that guests can really get a feel for what the resort is about. 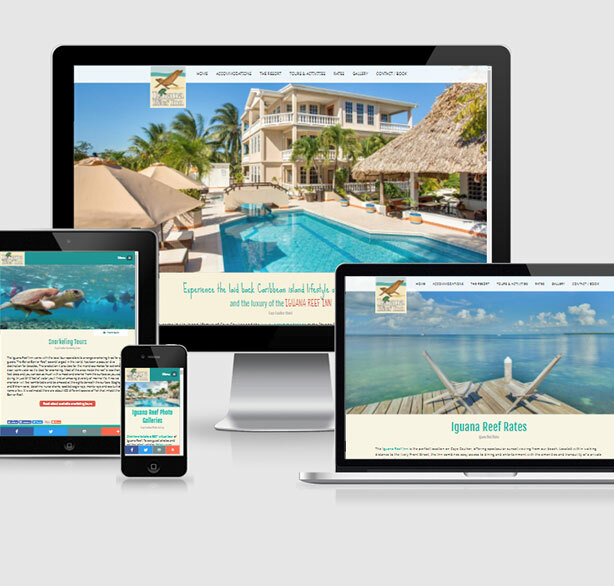 This site is also mobile responsive and will adapt to any mobile device for easy browsing. 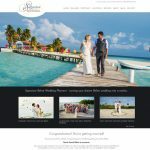 Signature Belize Weddings is Belize's premiere wedding planning company. 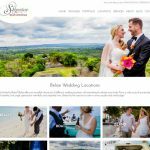 They cater to the couple's every need and detail so that they don't have to worry about anything and can enjoy their special day. 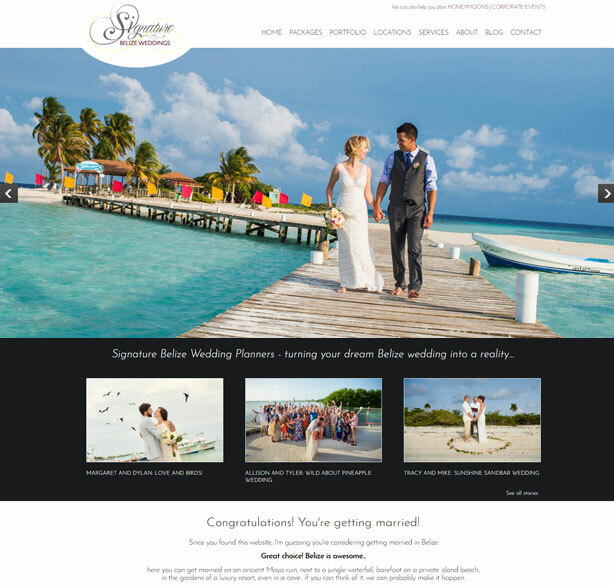 This site features big and elegant banners of beautiful couples and their amazing weddings. 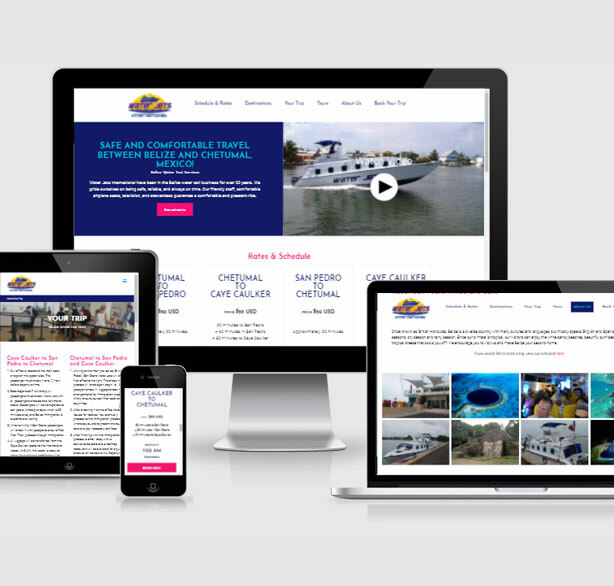 The site is mobile responsive and will adapt to any mobile device for easy browsing. 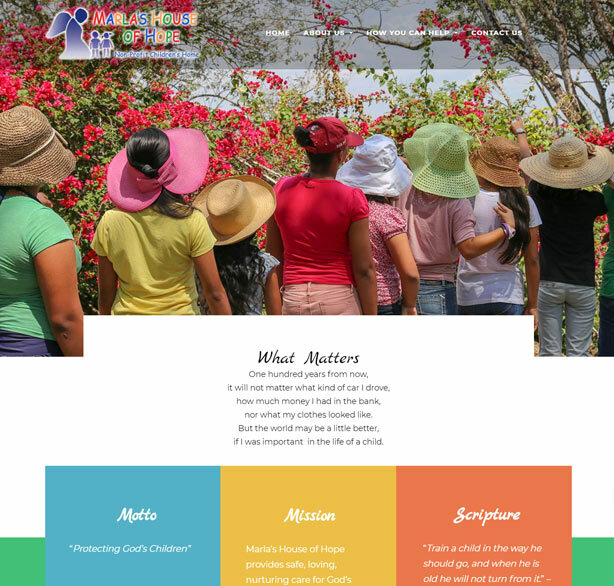 Marla's is a wonderful children's home dedicated to providing the very best physical, psychological, and spiritual care for children who were neglected and/or abused. 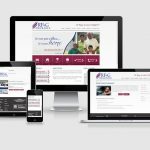 We were proud to be able to contribute to their efforts by donating a new website to help them get more donations and awareness of the home. 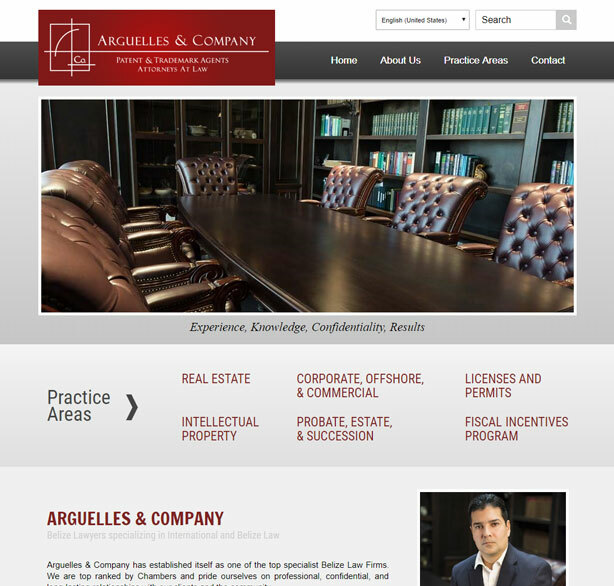 Arguelles & Company is Belize's premiere law firm that practices Real Estate, Corporate and Commercial law among much more. 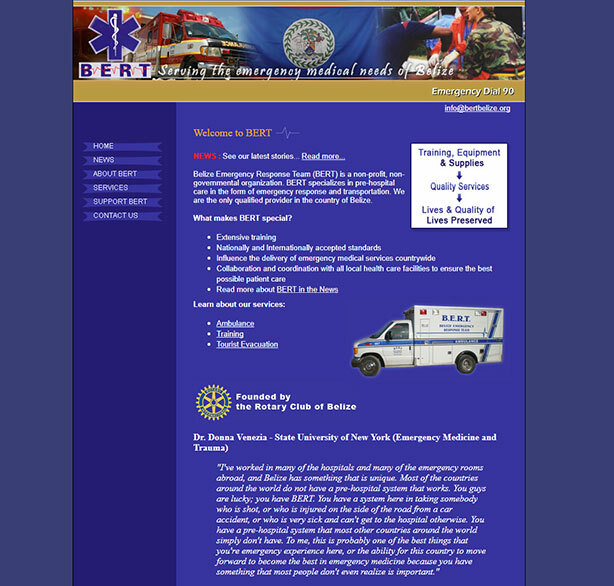 This site features a lot of information on their practice areas and has a clean design for easy browsing. 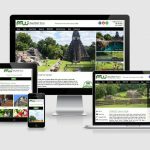 The site is also mobile and will adapt to any mobile device. 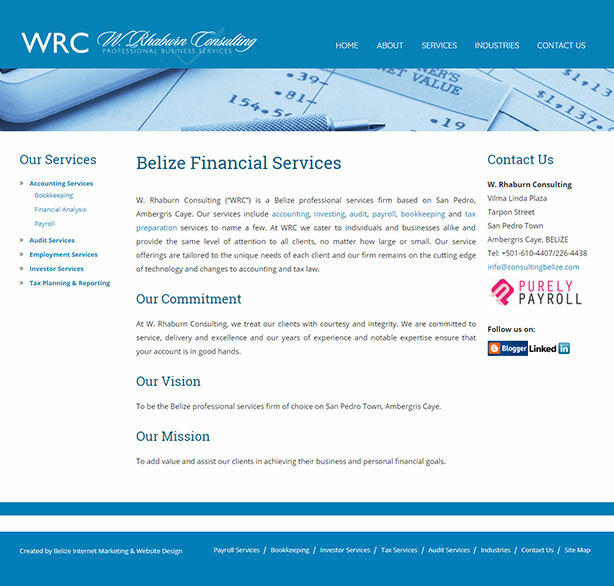 Chamberlain Consulting is a full service training and consulting firm. 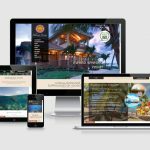 We have collaborated with them on several website projects and now they were ready to upgrade their own site. 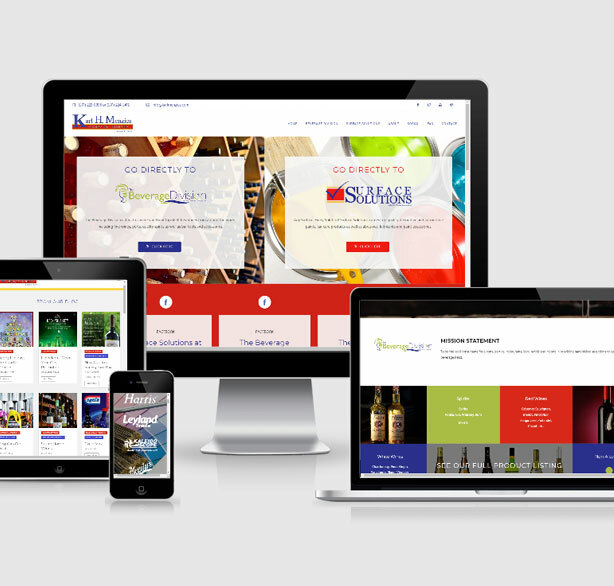 We worked closely with them to chose the design and layout. 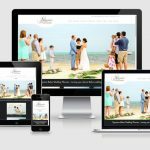 They were given the ability to make their own updates since it was important to them to keep their blog current. 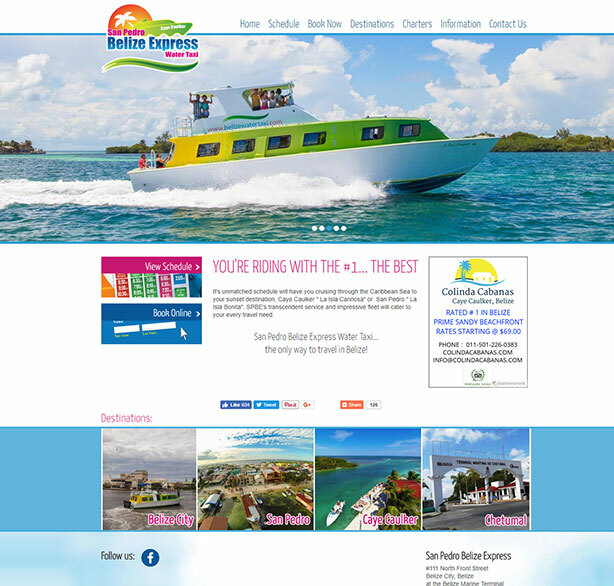 Water Jets International have been in the Belize water taxi business for over 20 years. 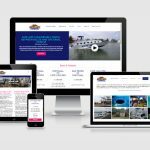 We were happy to work with them to create an updated website to fit their growing business. 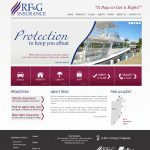 RF&G Insurance is one of the leading insurance companies in Belize and wanted a site that would help its customers easily find all the services they offer. 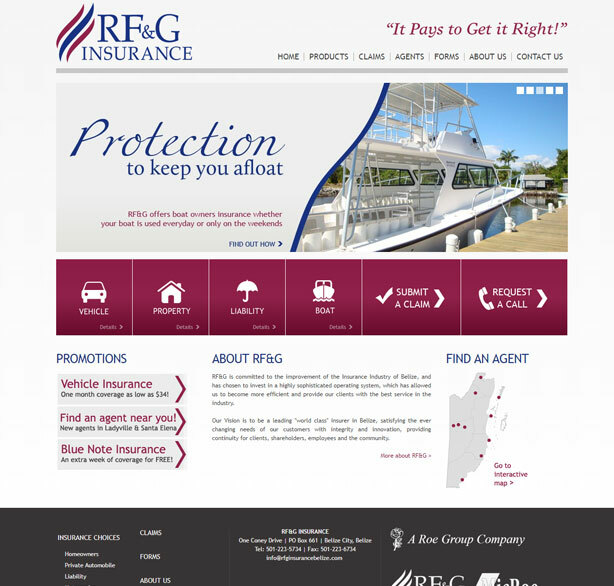 This site features multiple online and downloadable forms for home and car insurance policies, an auction for salvage vehicles and also an online claim of loss form. 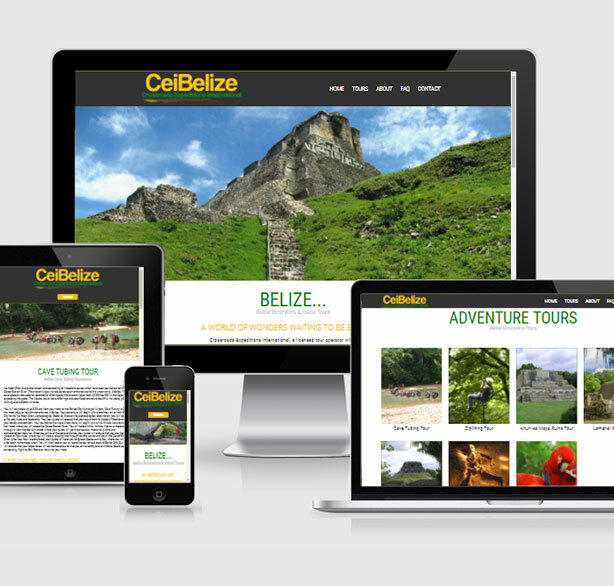 The site is also mobile adaptive to work with different devices. 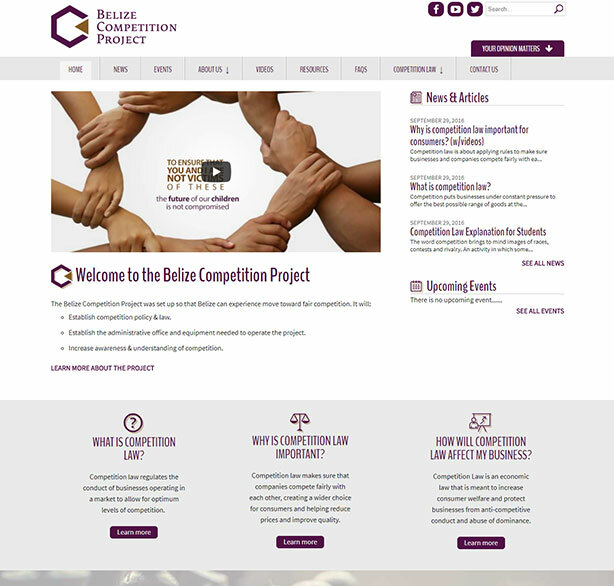 The Belize Competition Project was set up so that Belize can experience move toward fair competition. 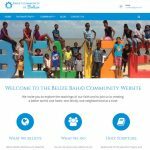 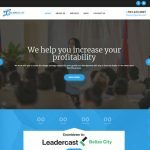 We were brought on board to create an informational website so that Belizean citizens can become informed and get the resources they need to establish fair business practices in Belize. 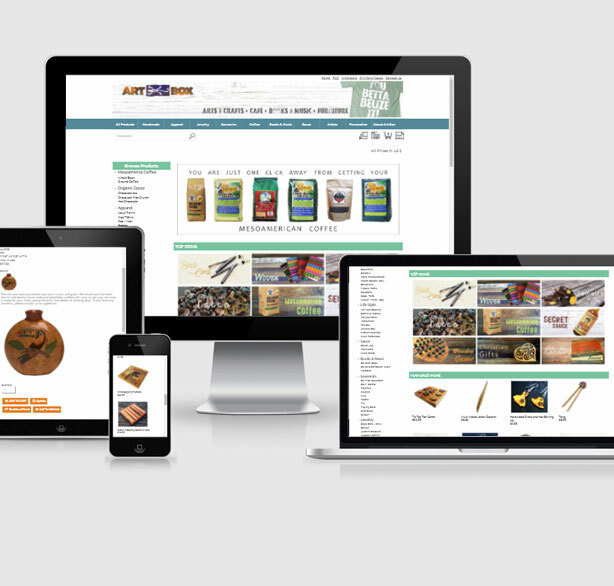 This site is mobile responsive and will adapt to any mobile device for easy browsing. 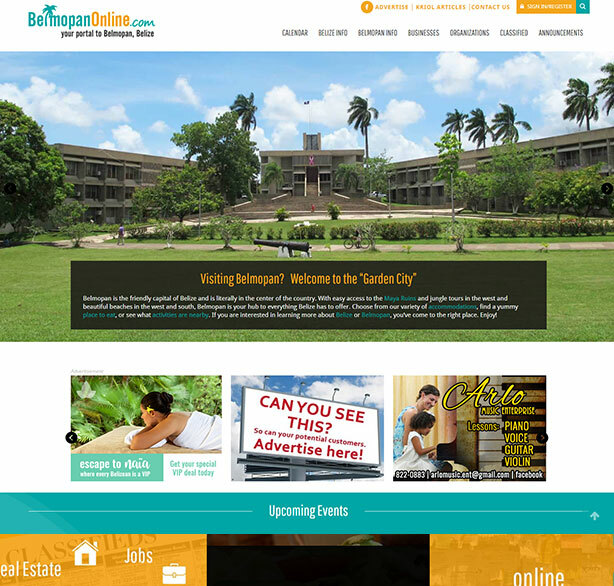 BelmopanOnline.com is full of useful information and resources whether you are looking for a new home, school information, a new job, businesses in town, activities for your children, organizations to become part of…just about anything related to Belmopan. 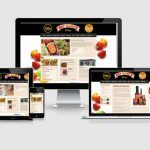 This site is mobile responsive and will adapt to any mobile device for easy browsing. MayaWalk Tours is one of Belize's top adventure tour companies in San Ignacio Town and was the first tour company to be granted permission to enter ATM, Belize's most famous cave. 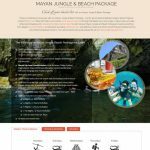 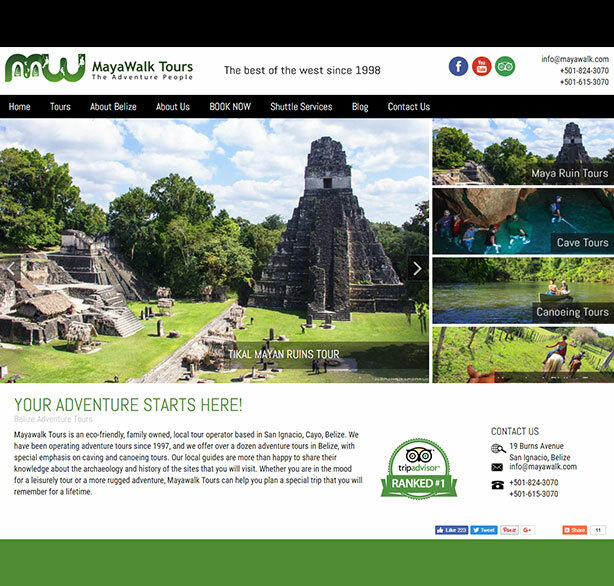 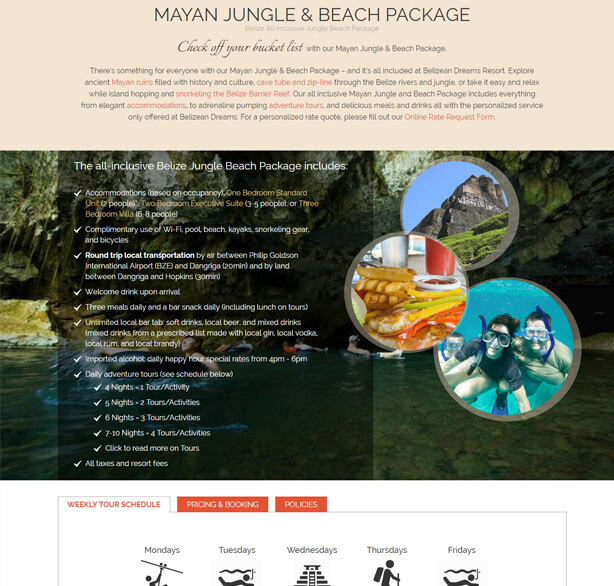 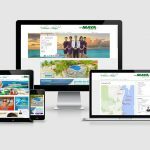 This site features big, adventure banners on all pages so clients can get feel for what MayaWalk offers. 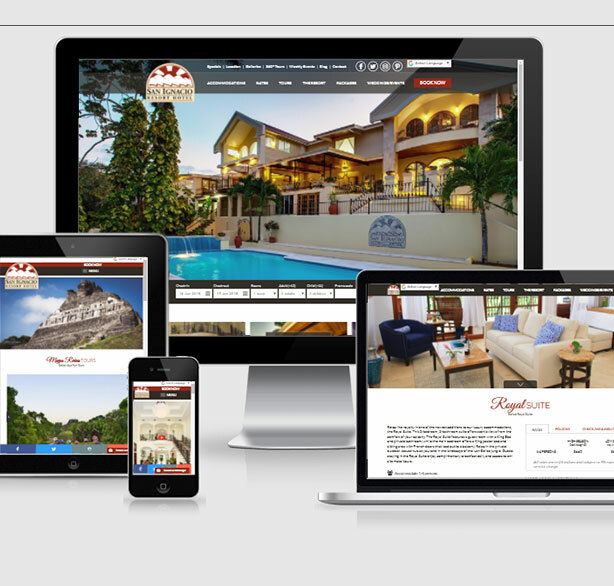 This site is mobile responsive and will adopt to any mobile device for easy browsing. 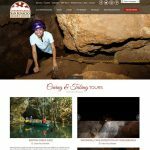 Crossroads Expeditions International is a small and active tour company that offers specialized package tours to archaeological and cultural destinations. 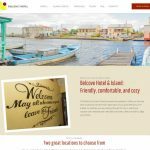 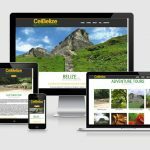 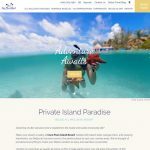 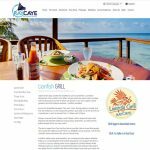 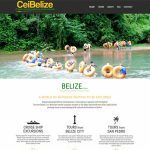 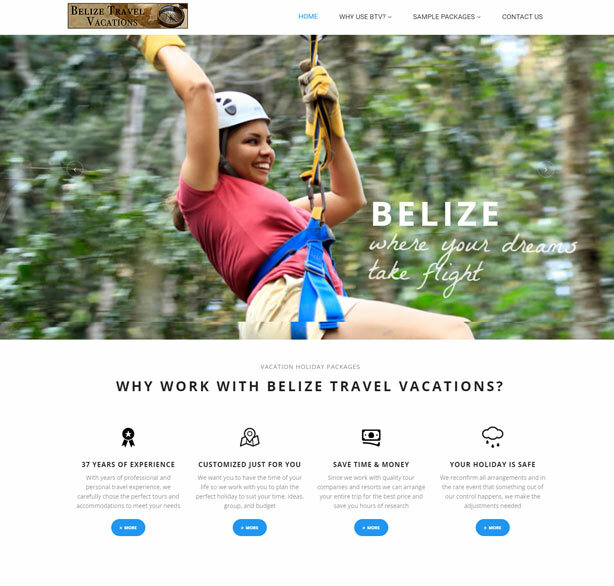 Their new website is informative and features bold and beautiful pictures of Belize which gives clients a visual experience of what is to come. 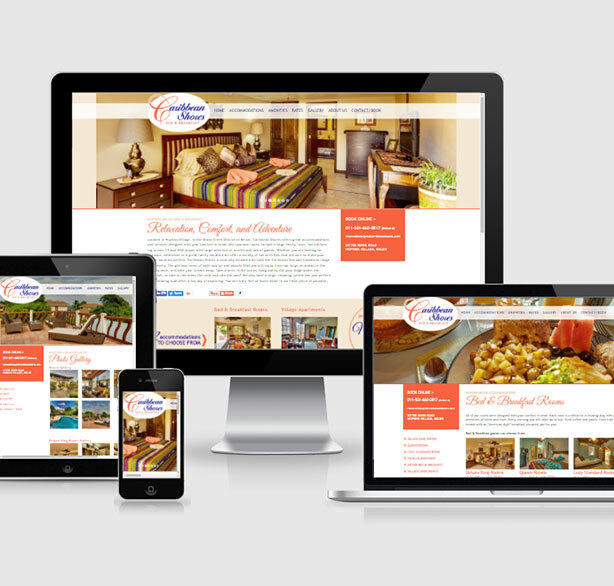 This site is also mobile responsive and will adapt to any mobile device for easy browsing. 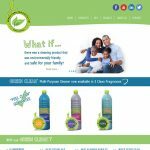 Green Clean Belize is a new local company specializing in the manufacturing and sale of environmentally safe multipurpose home cleaners. 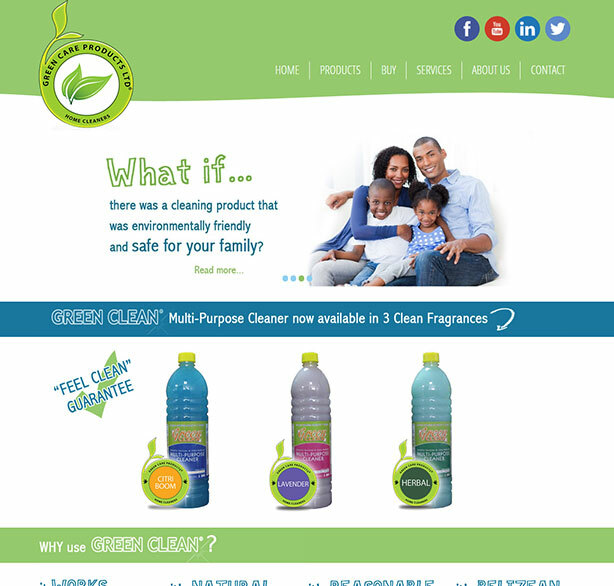 The cleaners come in three fresh fragrances and are available in most districts in Belize. 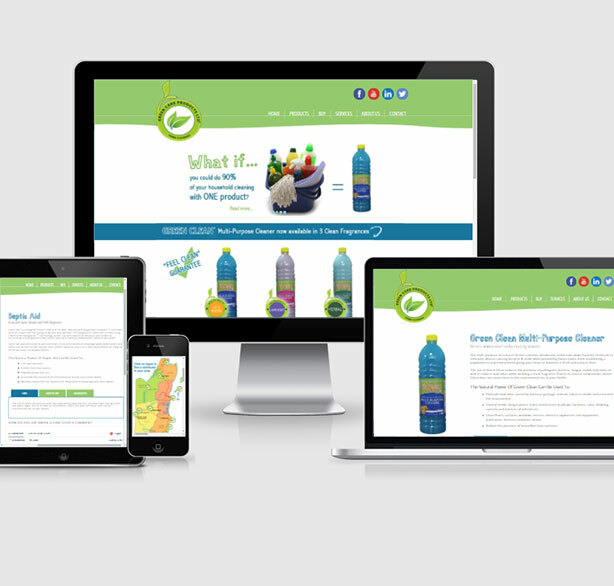 This site is mobile responsive and will adapt to any mobile device for easy browsing. 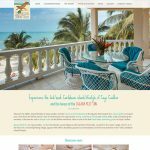 Iguana Reef Inn is one of Caye Caulker's top hotels that offers luxury accommodations with barefoot informality. 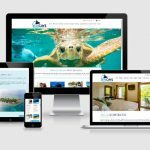 This new site offers bright, big and beautiful pictures on all pages so guests can get a feel for what all Iguana Reef has to offer. 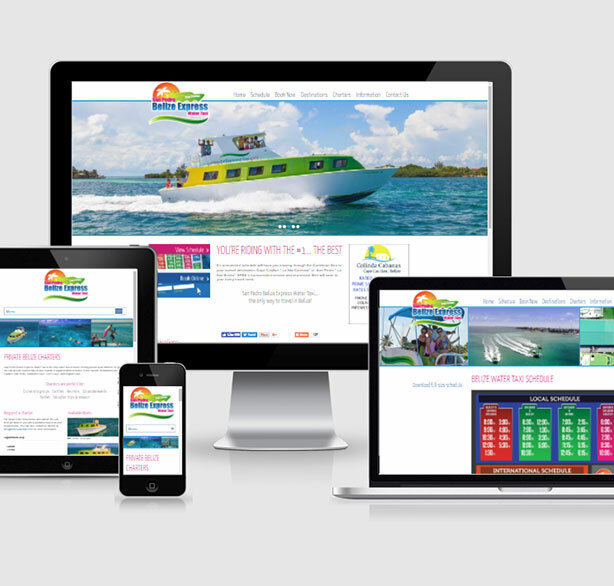 This site is also mobile responsive and will adapt to any mobile device for easy browsing. 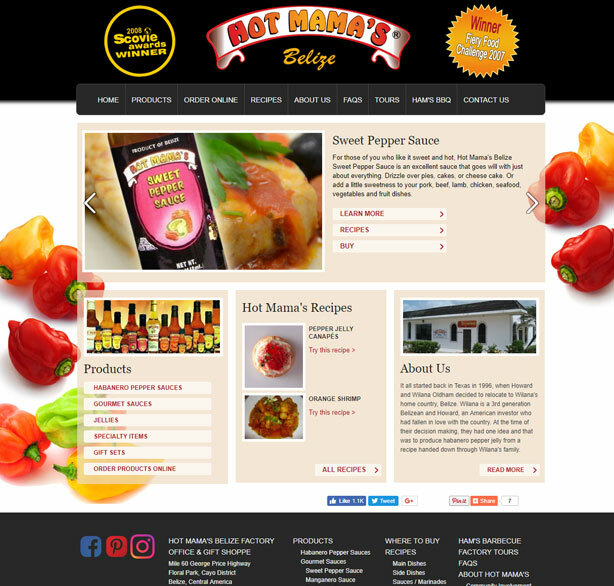 Hot Mama's is our hottest site yet! 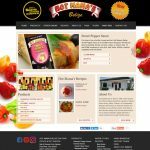 The site lists all the products available for sale at the Hot Shoppe, including habanero pepper sauces, jellies and gourmet sauces, and also a list of distributors in Belize and around the world. 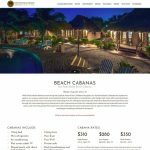 Grand Caribe is one is a premiere luxury resort on Ambergris Caye. 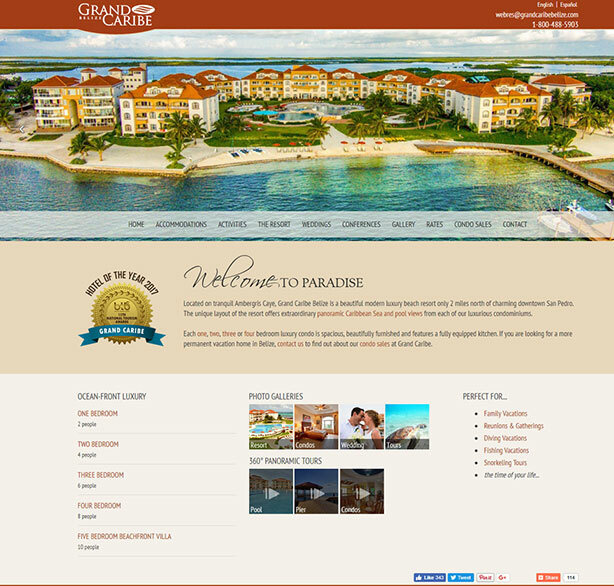 As the resort has grown, the website continues to evolve. 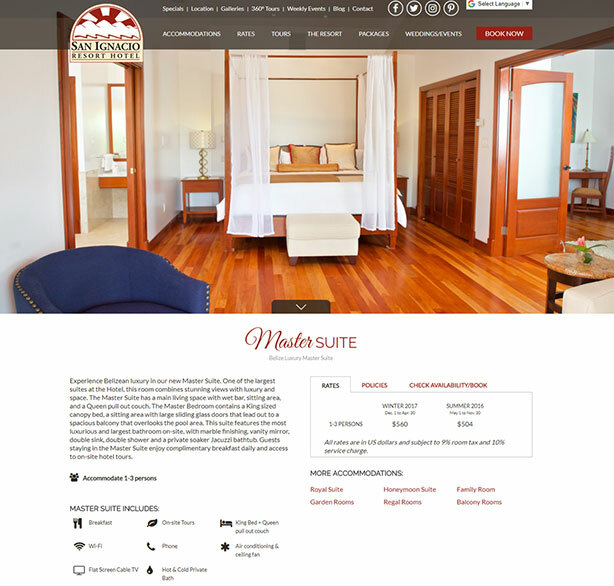 The site features 360-degree panoramas, multiple photo galleries and a separate portal for Spanish-Speaking guests. 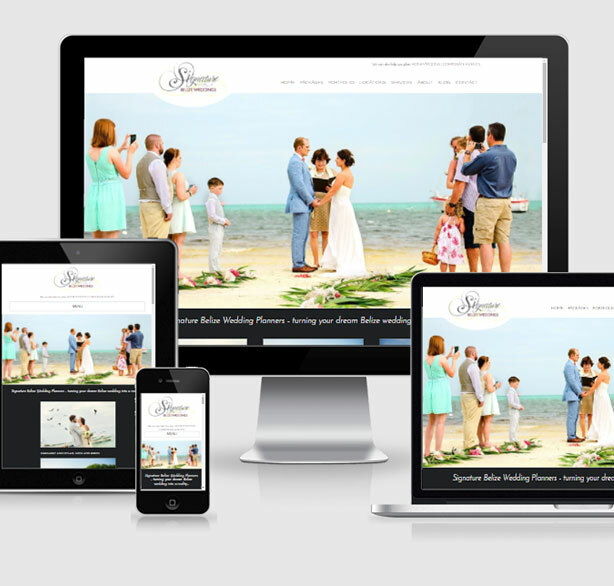 This site is also mobile responsive and will adapt to any mobile device for easy browsing. 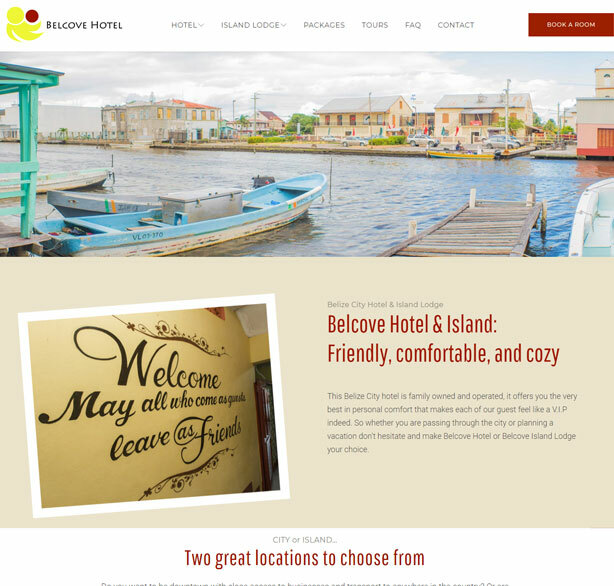 Belcove is a friendly, family owned hotel in Belize City with a sister private island lodge. They were looking for a new fresh affordable website to help get the word out about what they have to offer. 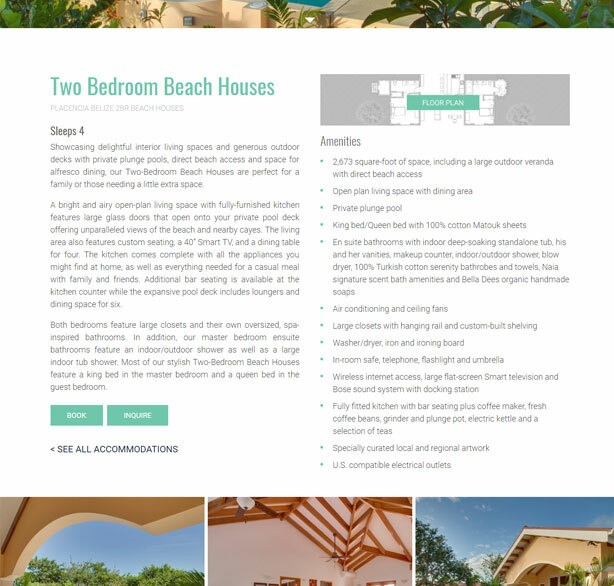 The website features both properties with big pictures and a simple and easy-to-follow responsive layout. 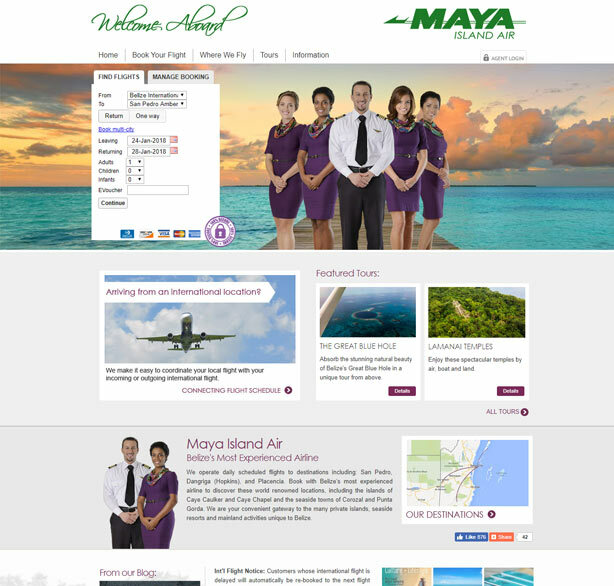 Belize’s most experienced airline to discover Belize. 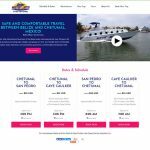 The website was designed to make it easy to book flights and get information about the different destinations and flight information. For those needing to get from the mainland to the San Pedro and Caye Caulker, SPBE is the #1 choice. 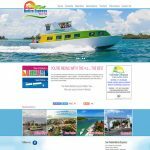 The website reflects fun Caribbean colors and lets visitors quickly find the information they are looking for too book their next trip. 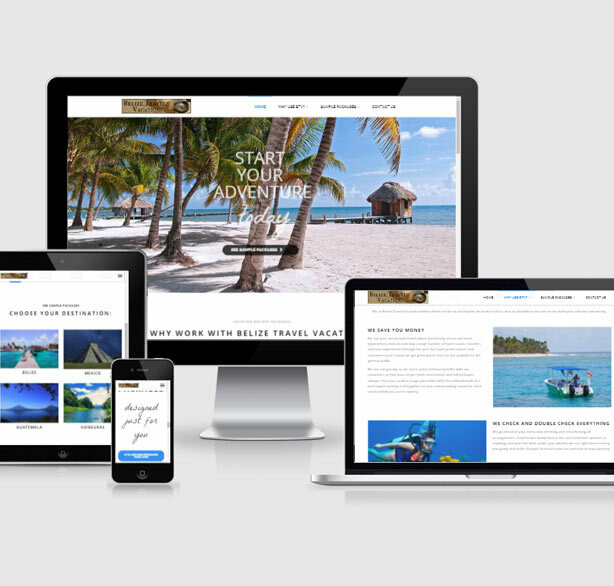 This site is mobile responsive and will adapt to any mobile device for easy browsing. 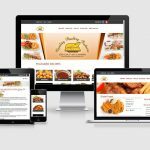 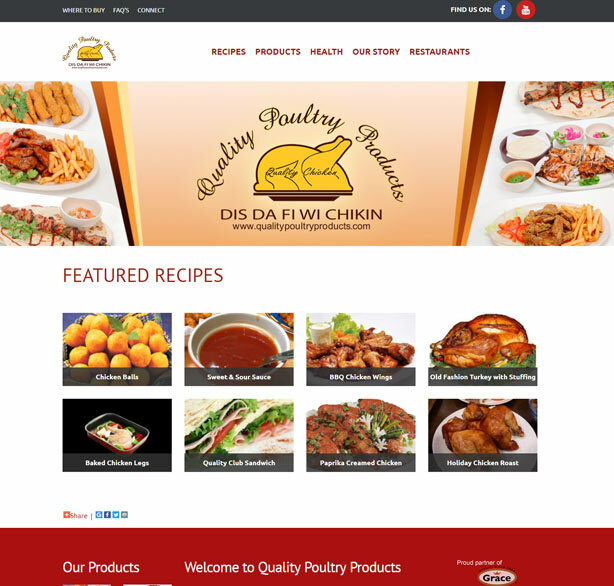 Quality Poultry Products wanted a site that could feature recipes made using their products while also providing information users might find useful. On the homepage we highlight the latest recipes that were added, with an image and a short description. 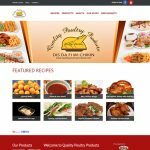 There is also a link to view all recipes which goes to the recipe page that has been categorized into different meal types. 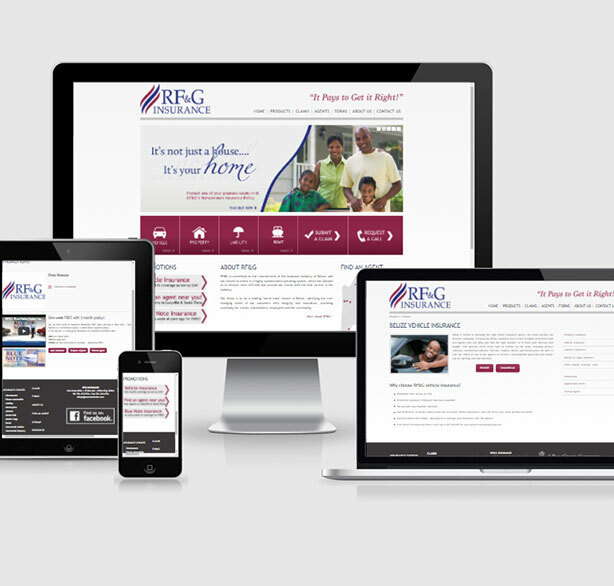 This site is mobile responsive and will adapt to any mobile device for easy browsing. 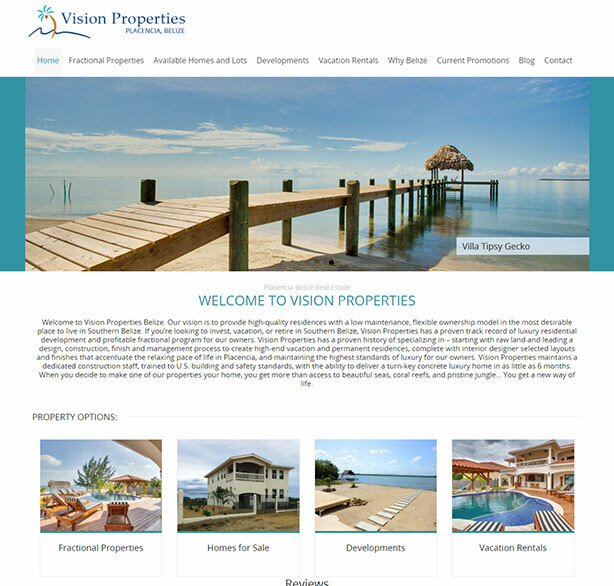 Vision Properties deals with prime real-estate and high quality constructed homes based in Placencia, Belize. 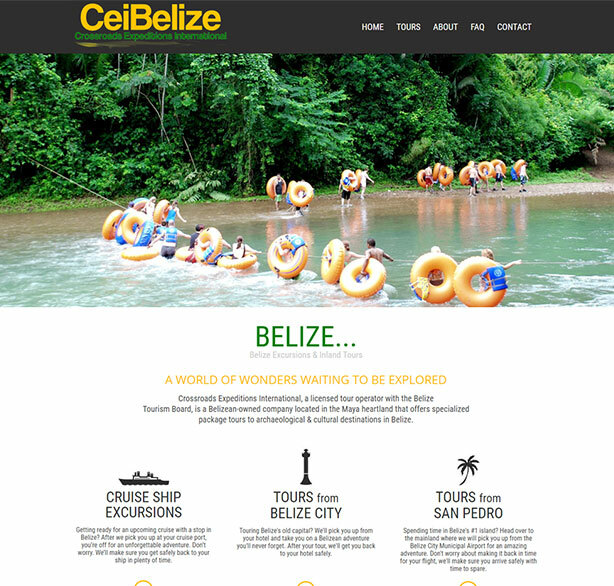 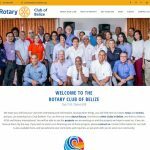 This site features big, beautiful banners on all pages so users can get feel for what the south of Belize is about. 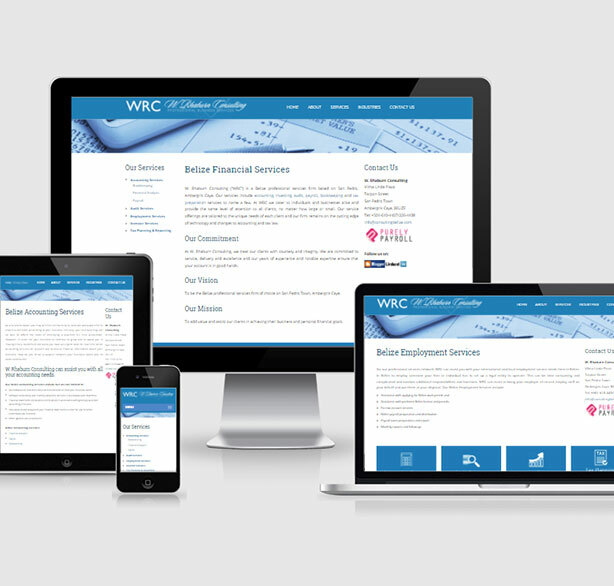 This site is mobile responsive and will adapt to any mobile device for easy browsing. 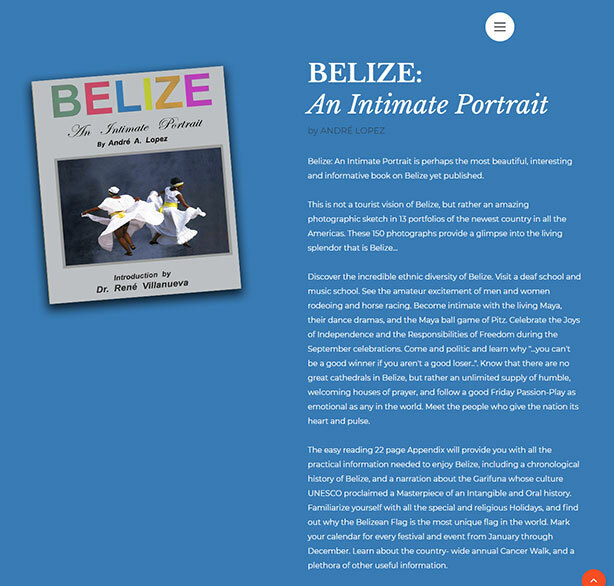 Author Andre Lopez needed a simple website to promote his new photo book highlighting the beauty of Belize. 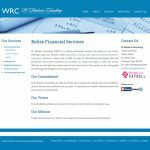 We were happy to help. 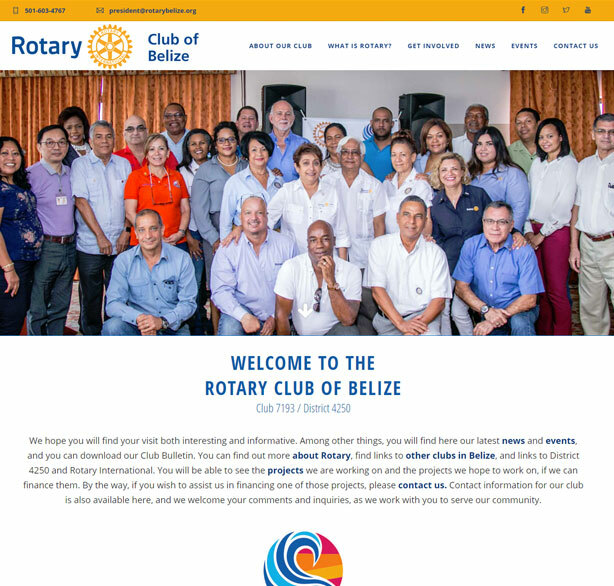 A portion of the proceeds of all of his sales go to the Rotary Clubs in Belize. 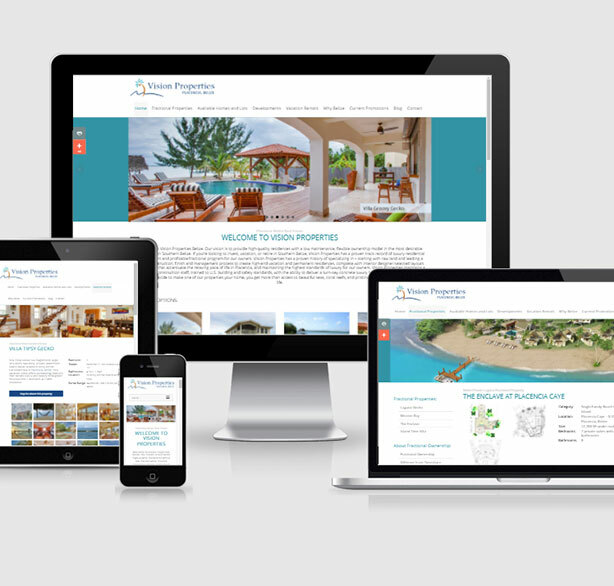 This site is mobile responsive and will adapt to any mobile device for easy browsing. 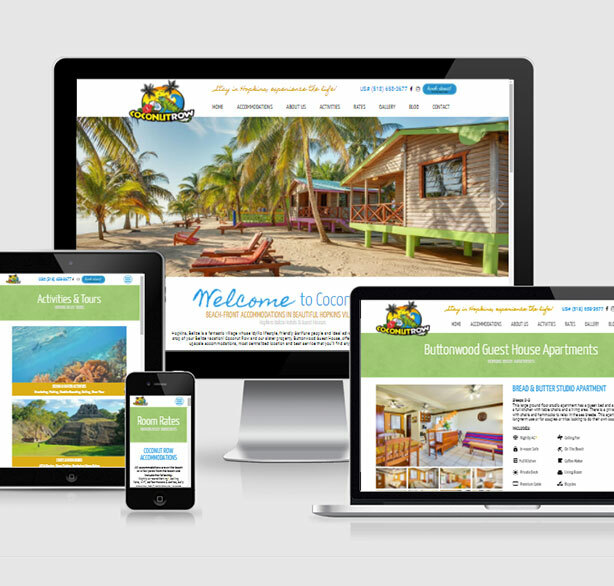 Caribbean Shores is located in beautiful Hopkins. 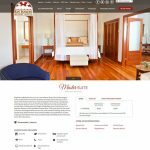 This comfy bed & breakfast is perfect for family, couples, and groups who want a relaxed vacation is a home away from home. 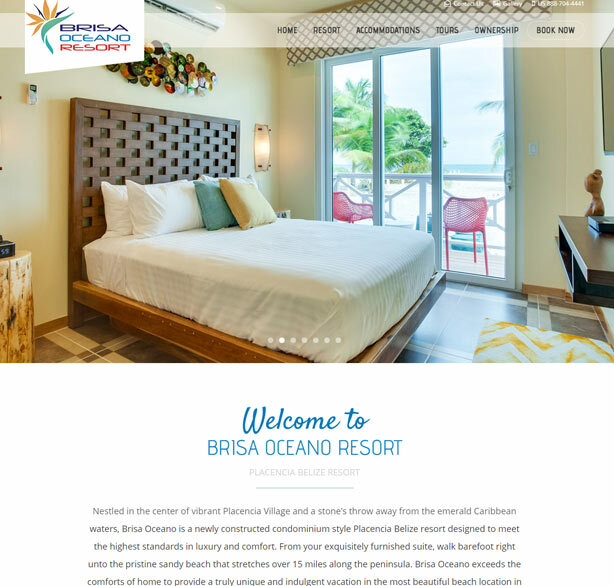 The website features pictures of the resort and their sister property that recently opened. 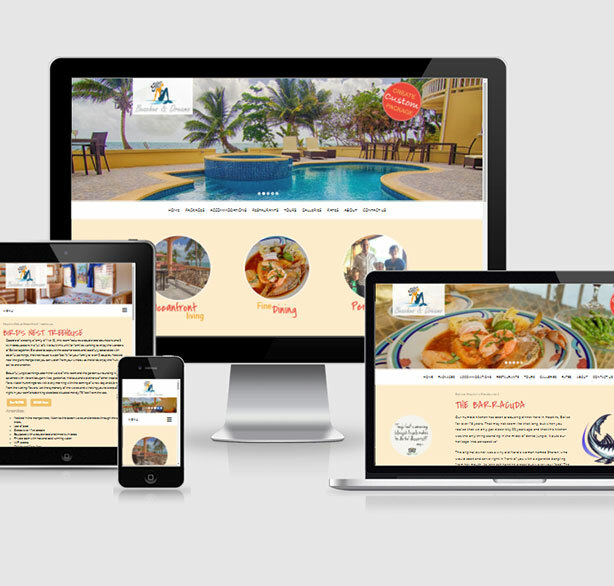 This site is also mobile responsive and will adapt to any mobile device for easy browsing. 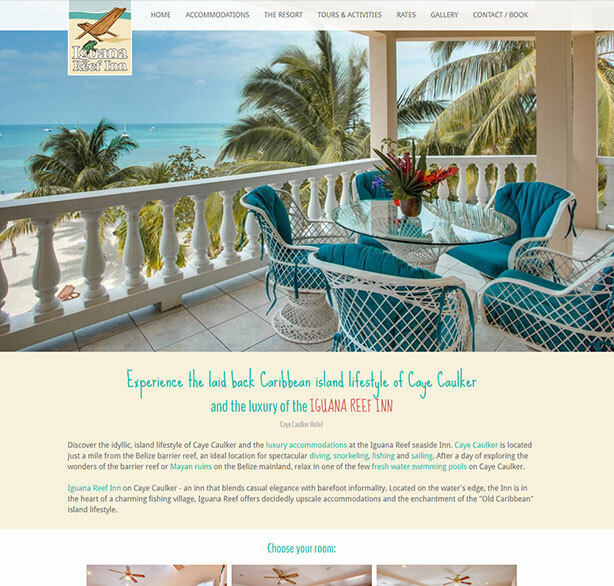 Beaches and Dreams is a quaint oceanfront inn with food so great it'll leave you wanting more. 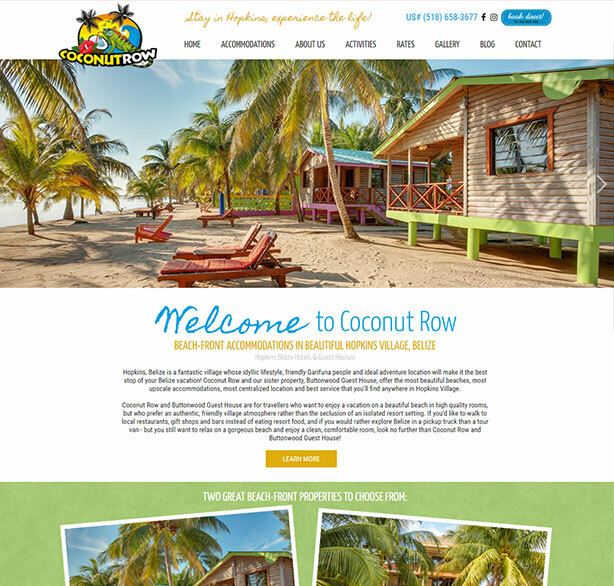 Their new website is fun and colorful with bright pictures and easy navigation. 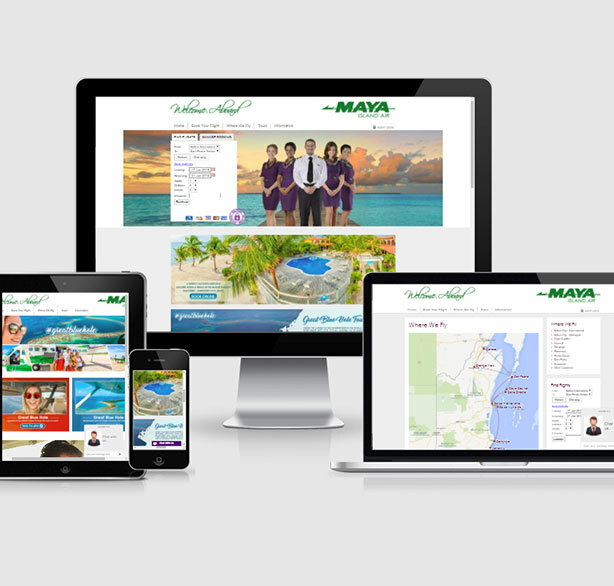 This site is also mobile responsive and will adapt to any mobile device for easy browsing. 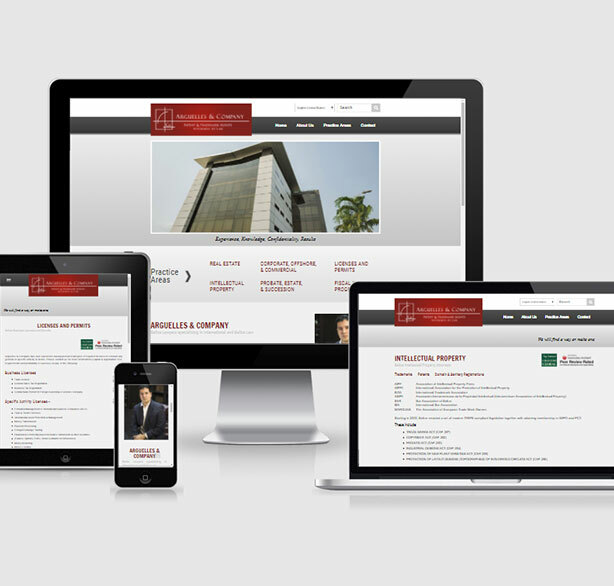 W. Rhaburn Consulting requested a clean and professional site for his professional services firm. 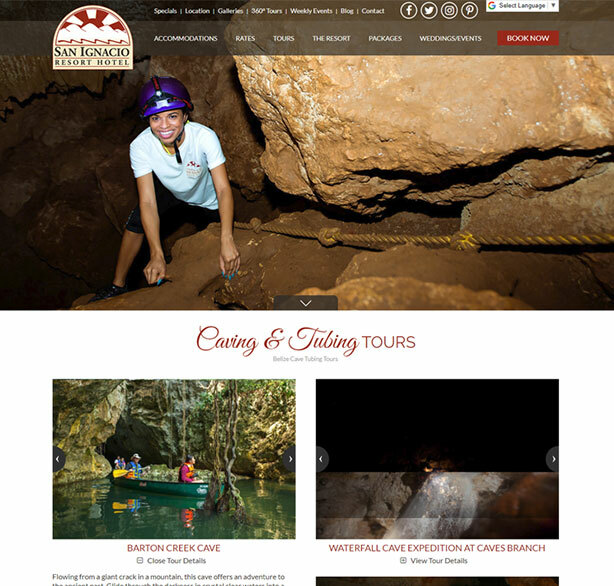 We kept the design of the site simple with user-friendly navigation. 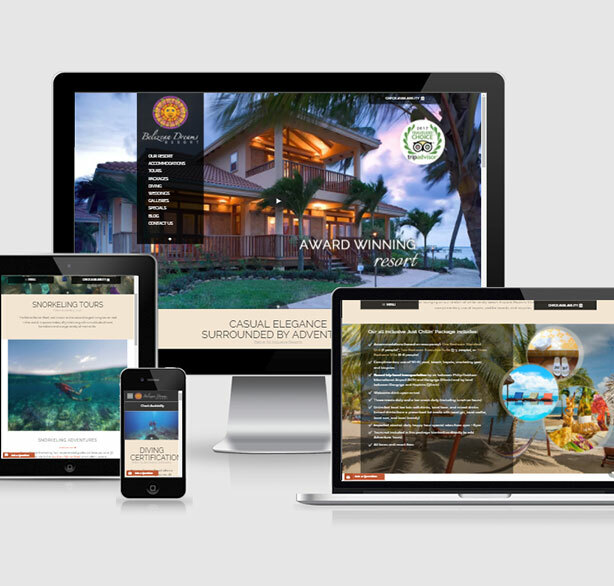 This site is mobile responsive and will adapt to any mobile device for easy browsing. 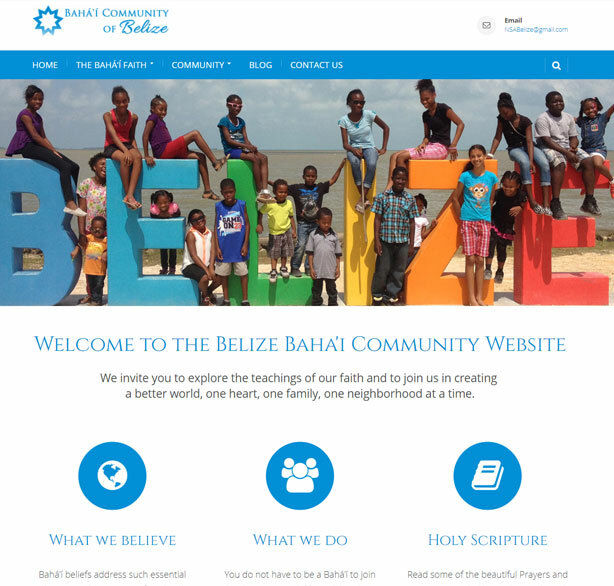 The Baha’i community of Belize come from a variety of backgrounds, brought together by a common belief in the oneness of humanity. 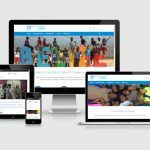 They needed a website to feature what they believe in, how they contribute to society, and how to participate. 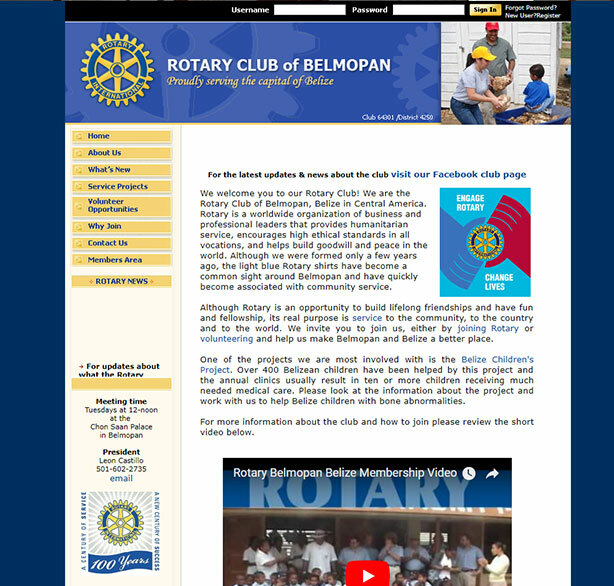 We were happy to help. 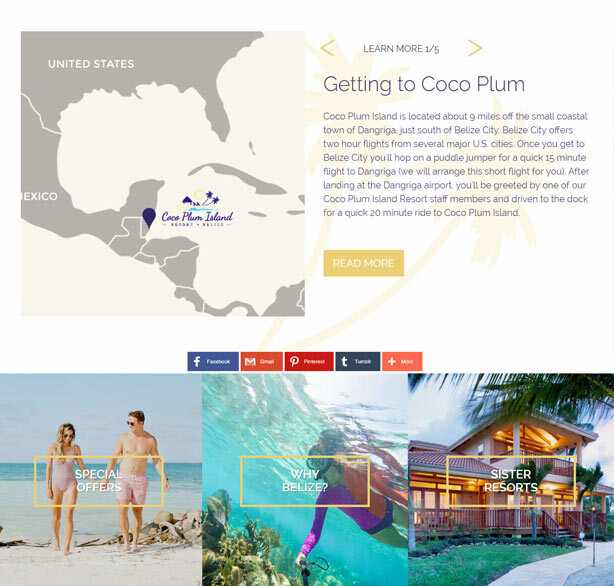 Cocoplum is a master planned resort community in Placencia, Belize. 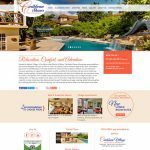 The website shows off the beauty of the vacation properties and lots while being easy to navigate. Sales and Rental interest forms on the site make it easy for users to get the information they need.